They are fervid competitors who bring to their roles different perspectives and convictions. But they are unanimous in their optimism about fintech; about being strategic, often hands-on, partners with the companies they invest in; and about the value of networks — extended ecosystems of technological, industry, and investment expertise — in advancing the sector. The best excel through collaboration. “Capitalize on our connections,” beckons the website of FTV Capital (see No. 5–ranked Richard Garman and Brad Bernstein). FTV has been cultivating its Global Partner Network of technology innovators and industry incumbents for 20 years. In the 12 months through September, FTV arranged more than 350 of what it calls “business development introductions” for portfolio companies. “We recognize that we don’t have a monopoly on great ideas,” says M. Roy Burns (No. 34) of TA Associates. 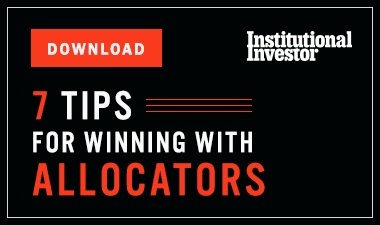 Besides keeping its ears to the ground in offices around the world, the private equity firm has a dedicated strategic resource group providing operational, strategic, and tactical support to companies it invests in. Some firms trumpet their networking capabilities, with entrepreneurs in residence — like Accel’s Cristóbal Conde (No. 21) — and advisory boards. The “limited partner advisers” of Nyca Partners (Hans Morris, No. 9) include not only industry veterans like Conde (who is an adviser to several investment firms), but also former senior Treasury Department officials Michael Barr and Neal Wolin. Ex–Treasury Secretary and Harvard University president emeritus Lawrence Summers is an adviser to Digital Currency Group (Barry Silbert, No. 19) and to Motive Partners (Stephen Daffron and Rob Heyvaert, No. 33). Networking, global scope, deal flow, and sheer energy distinguish the two individuals tying for No. 1. Steven McLaughlin (also No. 1 last year), founder and chief executive of boutique investment bank Financial Technology Partners, says the firm is “on pace for another record year” — which means approximately 40 transactions at various stages of financing, up to IPOs. The financial services sector of General Atlantic, led by Jonathan Korngold (No. 1 two years ago), in June participated in the biggest-ever fundraising by a private company: $14 billion for Ant Financial. That was just the biggest headline maker for the growth equity firm. But partnering with General Atlantic means “access to more than capital alone,” Korngold says. 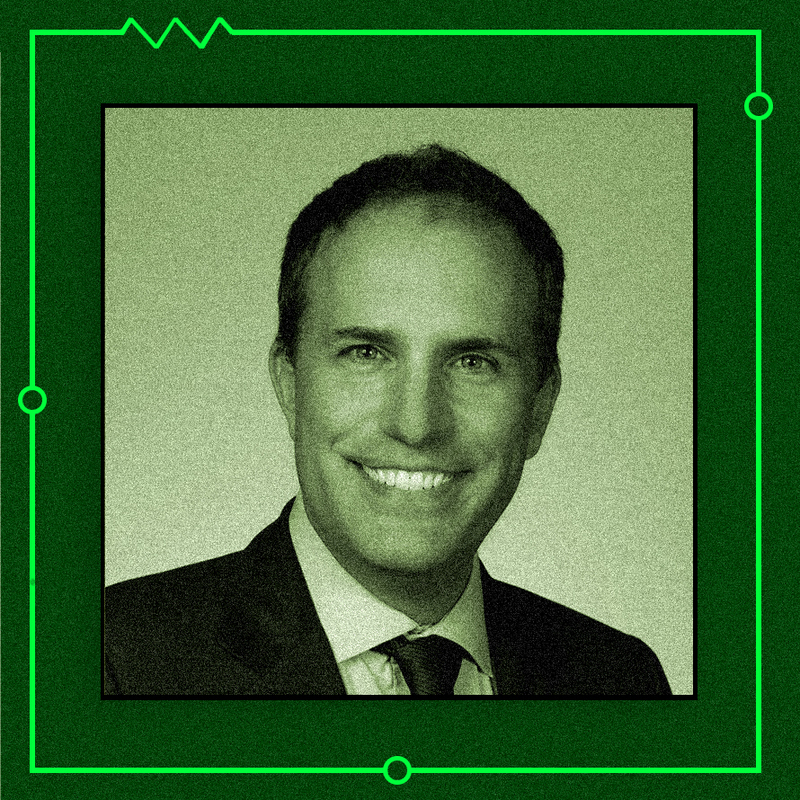 One of those resources is data science and artificial intelligence expert Justin Lindsey, formerly of Bridgewater Associates and the U.S. Justice Department, who joined the firm this year as an operating partner. The Fintech Finance 40 ranking was compiled by Institutional Investor editors and staff, with nominations and input from industry participants and experts. The evaluation criteria include individual achievements and leadership at the respective firms; influence in the community at large; and the size, reputation, and impact of the respective funds and institutions within the financial technology industry — particularly during the current wave of fintech financing. The Fintech Finance 40 was compiled under the direction of Senior Contributing Editor Jeffrey Kutler. Individual profiles were written by Kutler, Research Editor Amy Whyte, and Senior Writer Julie Segal. The unabated momentum in General Atlantic’s portfolio in financial services, the growth equity firm’s biggest sector, is a proxy for the continuing growth and maturation of fintech. 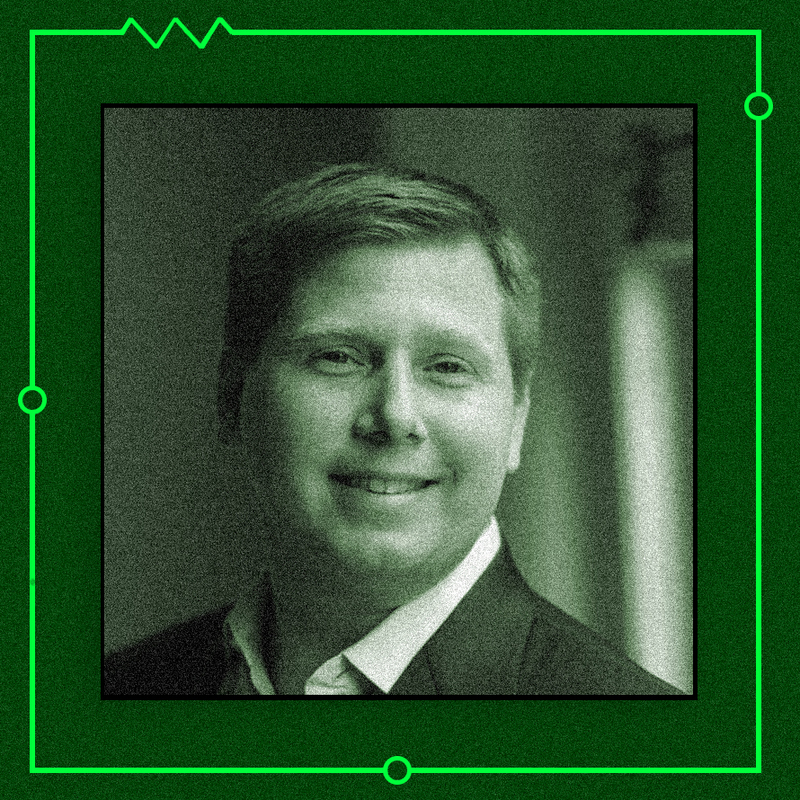 Under Jonathan Korngold, who joined the New York–based firm in 2001 and has been its global financial services head since 2012, General Atlantic had a hand in two of the biggest fintech financing developments of 2018: the $14 billion of funding for mobile payments giant Ant Financial and the $1 billion initial public offering of Dutch payment processor Adyen. Korngold, 44, says the firm has a “stage-agnostic mandate” and is “adept at partnering with companies at various stages of their development,” in keeping with its “thematic approach” to the sector and “flexibility afforded to us by our long-term capital base.” In June, General Atlantic led a $50 million Series E round for SigFig, whose wealth management technology powers offerings of banks such as Wells Fargo & Co. and UBS Group. 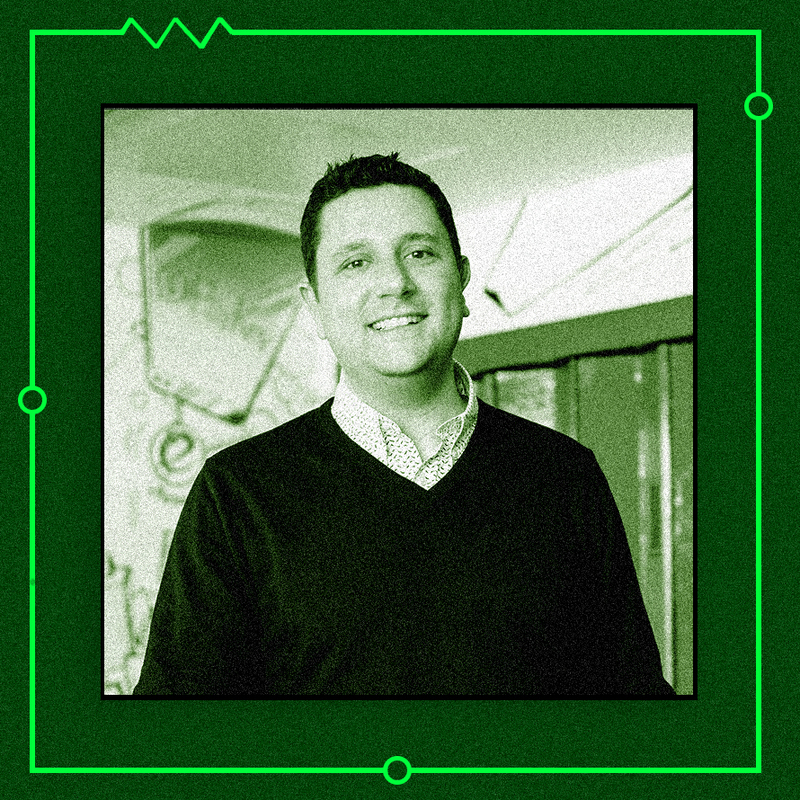 If humanly possible, Steven McLaughlin would be everywhere at once in the fintech world. 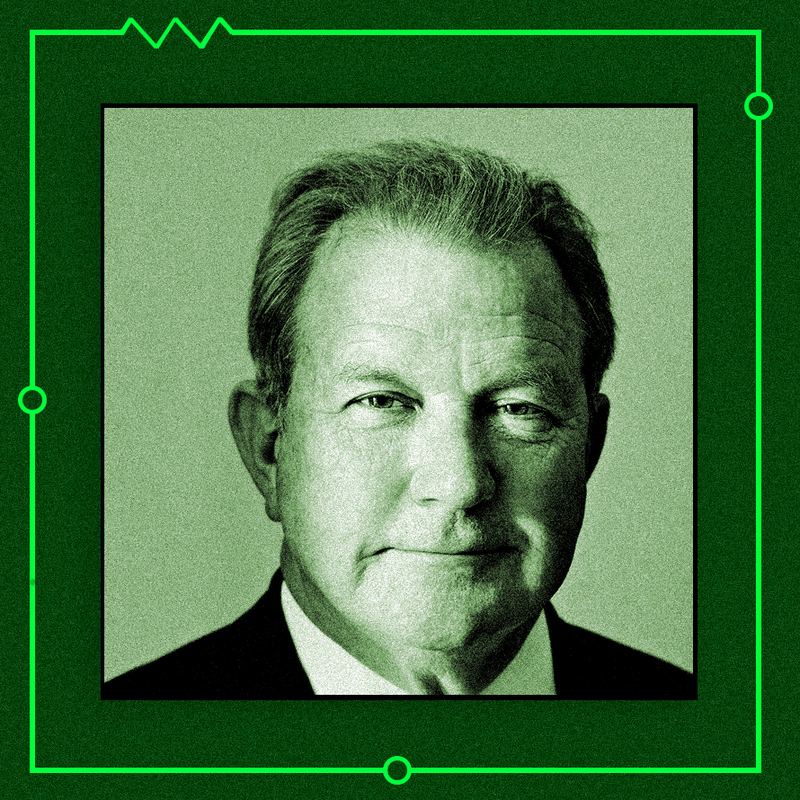 Because it isn’t, McLaughlin built Financial Technology Partners — the boutique investment bank he founded in San Francisco in 2002 — into a deal-making juggernaut. It has grown to 120 people, opened offices in New York and London, and globally does about 40 transactions a year. Size and scope matter to the 49-year-old managing partner and CEO, who prides himself on understanding the market from the ground up, identifying and forming relationships with early-stage entrepreneurs, and guiding them up the financing ladder to IPOs. “Being one group, around the world, in all sectors,” as McLaughlin puts it, contrasts with the more focused teams within, say, Goldman Sachs, where he spent seven years. “We are working with unicorns on all continents,” he boasts, referring to companies with $1 billion valuations and presumably overlooking Antarctica. These unicorns include Singapore-based ride-hailing company Grab Holdings and its GrabPay program, and Brazilian transaction processor Stone Pagamentos. In May the $1 billion IPO of GreenSky valued the Atlanta point-of-sale payment and credit company at $4.5 billion. This deal exemplified what McLaughlin calls “the unique, repeat nature of our client relationships.” Before serving as the firm’s IPO adviser, FT Partners advised GreenSky on a $300 million private financing round in 2014, a loan-purchase agreement with Fifth Third Bank in 2016, and a $200 million investment by Pimco in 2017. “The unprecedented pace of investments that we are seeing foretells years and years of fintech growth,” McLaughlin says. Two transactions involved exchange company diversification: Broadhaven advised fixed-income trading platform TMC Bonds on its $685 million sale to Intercontinental Exchange and collateral management consortium AcadiaSoft on a minority investment by London Stock Exchange Group. Consortia and joint ventures can be difficult to wrangle; they’re something of a specialty for Broadhaven, which has advised multibank blockchain enterprise R3 and messaging and collaboration venture Symphony Communication Services. In early-stage venture investing, led by co-founder Greg Phillips, Broadhaven made 12 investments in the past year and has more than 30 in total, von Dohlen says. Meanwhile, there were several deals in the firm’s asset management industry wheelhouse. For example, Broadhaven advised Cambridge Associates on its sale of a minority stake to Belgium’s Sofina and Adhesion Wealth Advisor Solutions on its acquisition by Vestmark. Founded in 2009, Broadhaven has grown to 50 people in New York, Chicago, and San Francisco. On October 1 it announced that Greenhill & Co. managing director Kirk Wilson had joined as a partner. Broadhaven attracts “top-tier banking talent looking for a more entrepreneurial opportunity,” notes von Dohlen, formerly of Goldman Sachs. 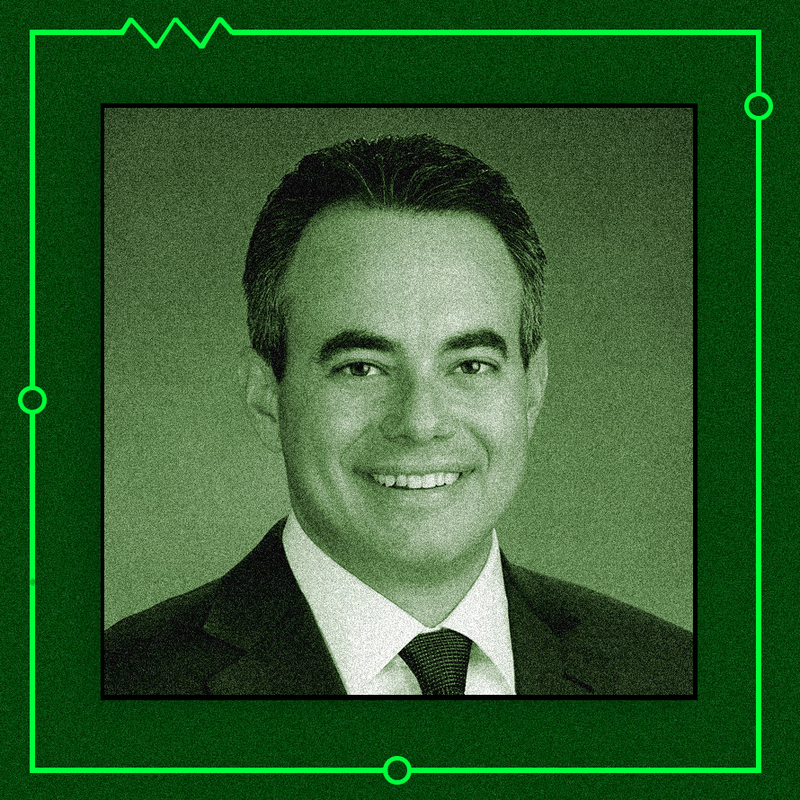 Harris has gotten behind the likes of AvidXChange (business invoicing and payments), Flywire (international payments), IEX Group (the parent of Investors Exchange), and SigFig (wealth management). 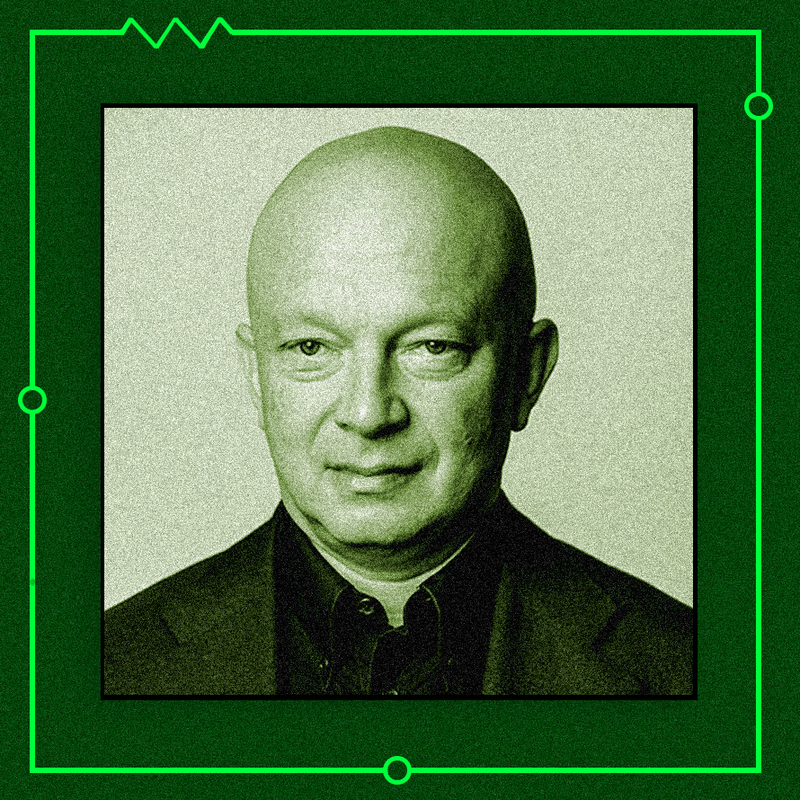 But he is also a commentator, drawing on more than 20 years with Bain Capital and Index Ventures and, since 2012, as the leader of Bain Capital Ventures’ New York–based fintech team of 11. If the 45-year-old is calling attention to crypto — a puzzlement to many in the financial industry establishment — then others are sure to be listening. “I keep a hand in [the crypto sector], but it needs full-time focus,” Harris says. 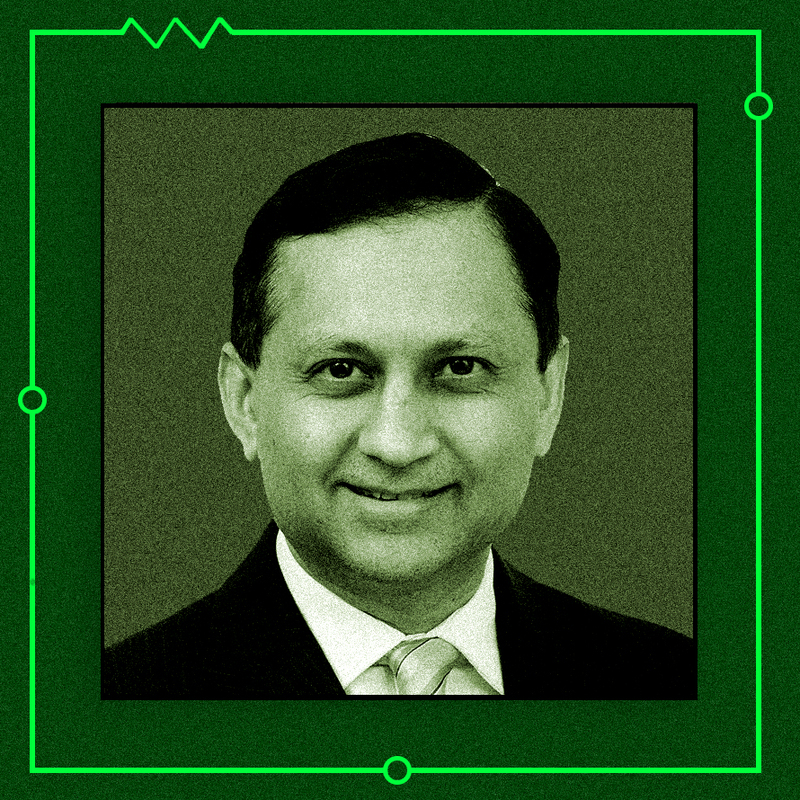 Salil Deshpande, a managing director in San Francisco, takes that lead. Recent investments include stablecoin start-up Basis and licensed exchange operator Seed CX. Over the past two decades, the formula set out by FTV Capital founding partners James Hale and Robert Huret has remained pretty much intact: Orchestrate relationships with an influential cadre of top-tier industry players that will deliver transformative insights to the companies FTV backs. “We’re the same organization; the strategy is the same. Over time we get better and stronger,” says FTV Capital managing partner Richard Garman, 61. FTV’s approach, which foreshadowed the ecosystems that have proliferated around fintech in the current decade, is “evolutionary,” he adds. Since the firm’s 1998 start in San Francisco, which is Garman’s base, FTV has expanded to New York, where managing partner Brad Bernstein, 51, is in charge. Over the past 20 years, the firm says it has raised five funds totaling $2.7 billion and invested in more than 100 companies, creating $12 billion of enterprise value. “We track 7,000 companies each year in the sectors we invest in” and place only a few bets, Bernstein notes. For example, FTV eyed RapidRatings, a financial health analytics company, “for a couple of years,” he says, before making a $30 million growth equity investment in September. That same month the firm announced a “significant” investment in Strata Fund Solutions, an administrator for investors in venture capital, private equity, and other alternative assets. New York is arguably the world capital of fintech, with its concentration of financial services companies and the technology incubation ecosystem that has been built up around them. The city’s emergence might have been more of a struggle but for the presence and vision of RRE Ventures. Founded in 1994 by James Robinson III, his son James Robinson IV, and Stuart Ellman, RRE was part of the first wave of New York venture capital investing. 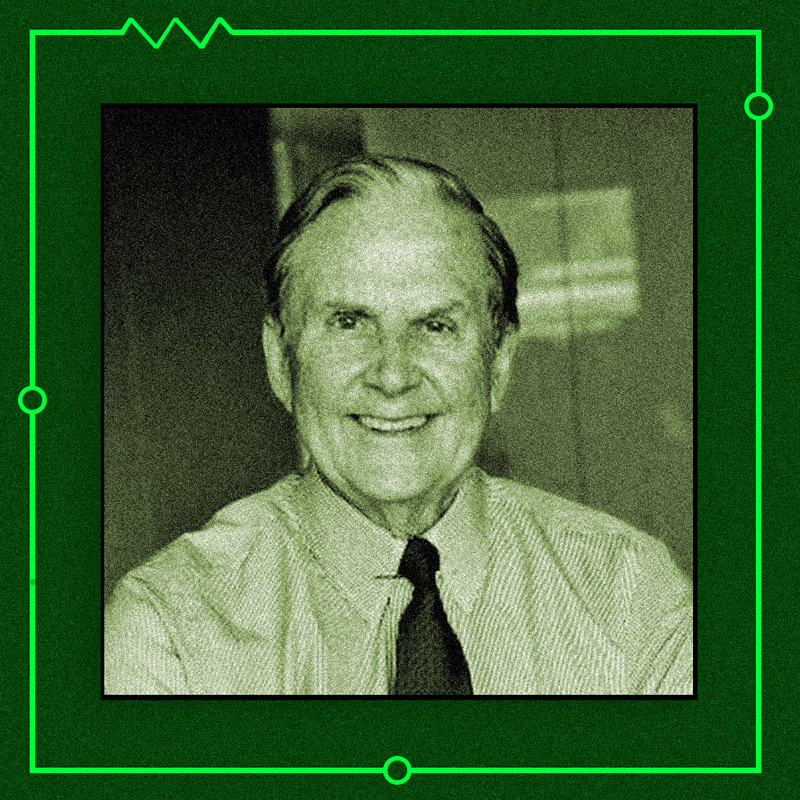 It didn’t hold a candle to what was then going on in Silicon Valley, but the elder Robinson’s contacts and insights about automation from a career capped by 16 years as CEO of American Express Co. were the groundwork for opportunities to come. RRE has supported New York’s FinTech Innovation Lab since its start in 2010, and with the advent of the Cornell Tech hub on Roosevelt Island, New York is becoming “the place to be for all kinds of technology innovation,” says general partner Robinson III, 83. RRE’s portfolio touches media, space, and robotics, along with finance. A majority of the firm’s 100-plus active primary and seed-stage investments are in the New York region. The firm, which this year closed a $265 million fund, has invested in such companies as Bend Financial, a health savings accounts company, and Ursa Space Systems, which uses satellites to produce alternative data for financial services firms, major industrial and energy businesses, and governments. RRE is active in the crypto sector, with investments including BitPay, Gem, Paxos, and Ripple. General partner Robinson IV, 56, serves on Digital Currency Group’s investment committee. Amy Nauiokas and Sean Park were making fintech investments for two years before they formed Anthemis Group in 2010. They did well early, with marquee names like Betterment and exits including Climate Corp. and banking platform Simple, which were acquired by Monsanto and Banco Bilbao Vizcaya Argentaria, respectively. With the final close in March 2018 of the $106 million Anthemis Venture Fund I, more than $500 million of deployed and deployable capital, and a portfolio of 70 investments, Anthemis has grown big. New investments this year include lending platform Goji and StratiFi in investment advisory. Nauiokas — president and, since June, interim CEO — points out that the organization is flat and the business scales, so the 50-person head count has remained fairly steady. But she knows what she wants to avoid. “Sean and I both came from big banks” to do something different, she says. Nauiokas, 46, previously held senior roles at Cantor Fitzgerald and Barclays. Chairman and CIO Park, 50, who resides in Switzerland, worked at BNP Paribas and Dresdner Kleinwort Wasserstein. The two have built within Anthemis such components as a fintech investment advisory business, a foundry for new-business creation, and a research institute. In 2011 they launched Hacking Finance, an annual retreat in the French Alps where diverse voices — not just industry talking heads — ponder ways to “demystify and democratize finance,” as Park puts it. The capital is that of Goldman Sachs Principal Strategic Investments (PSI), headed by Cohen. 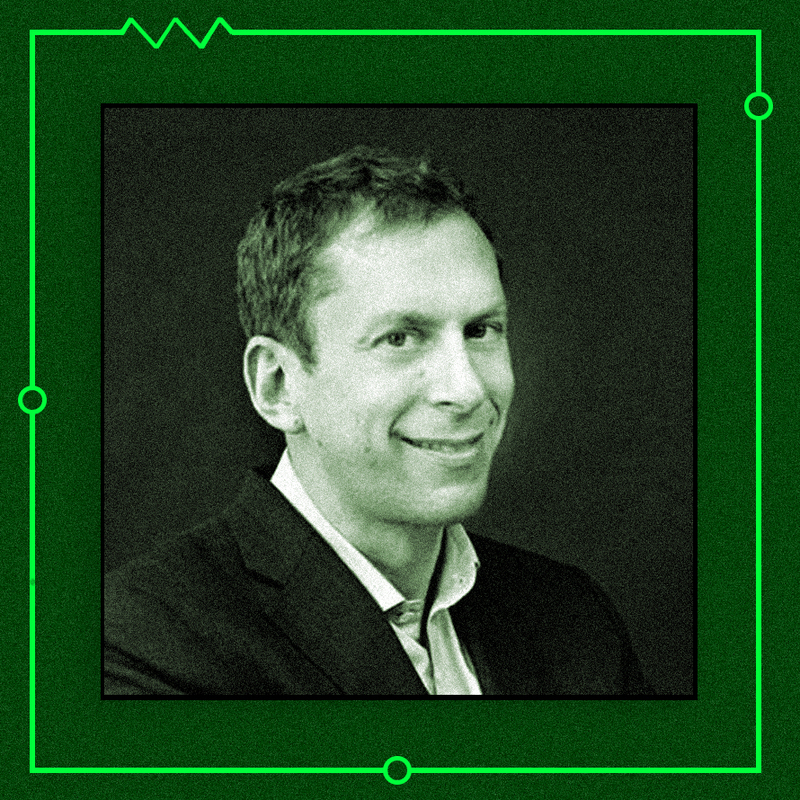 What differentiates it, he says, is the connection to Goldman Sachs Group and the contacts, ideas, and market insights that result. And PSI doesn’t have to chase large, late-stage deals in the manner of multibillion-dollar venture funds. “We’re heavily tilted to earlier-stage, fast-growth companies that have built products and figured out the market,” Cohen explains. One that profitably fit the Goldman tilt was Kensho Technologies. In 2014, PSI led a $15 million investment in the Cambridge, Massachusetts, start-up, whose machine-learning analytics technology was then adopted by Goldman Sachs. S&P Global bought Kensho last April for $550 million. “S&P saw the opportunity to combine Kensho’s capabilities with their valuable proprietary data sets,” says Cohen, who has worked at Goldman for 15 years. He became a managing director in 2010 and a partner in 2014. The 44-year-old adds that PSI is on track to complete 20 new investments, and at least 30 follow-ons in existing holdings, in 2018. The deals include a £13.6 million ($17.6 million) Series B funding (co-led with Propel Venture Partners) for U.K. online mortgage lender Trussle; a $32 million Series B funding (co-led with Nyca Partners) of enterprise blockchain company Axoni; and an October investment in digital-assets custodian BitGo, joining a $58.5 million Series B round along with Michael Novogratz (No. 39)’s Galaxy Digital Ventures. Nyca Partners is a team of seven with a force multiplier: about 40 limited partner advisers, or LPAs. 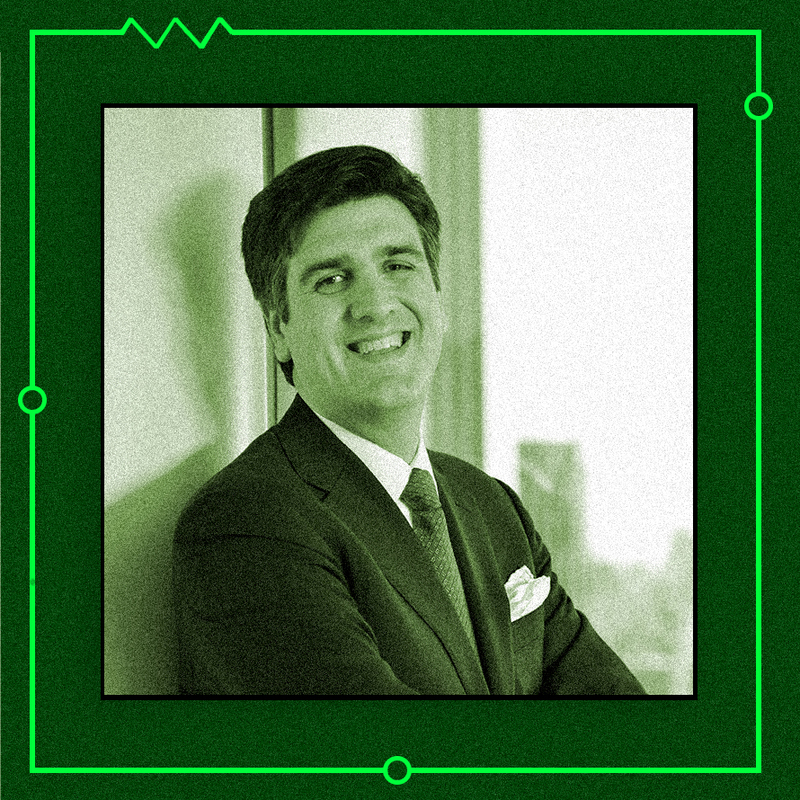 These professionals counseling Nyca and its companies have extensive experience in finance and technology — including Cristóbal Conde (No. 21 in this ranking), the former chief executive officer of SunGard, bought by FIS in 2015; Stephanie DiMarco, the founder and former CEO of Advent Software, acquired by SS&C Technologies in 2015; Financial Engines founding CEO Jeff Maggioncalda; and Annette Nazareth, a former member of the Securities and Exchange Commission. “Every week entrepreneurs have issues, and we help them with solutions,” says Nyca managing partner Hans Morris. The LPAs participate in a monthly call and are increasingly pulled into Nyca-related business. Morris says they are a unique asset of the New York–based firm that he founded in 2014. Friend and sometimes co-investor Matthew Harris (No. 4) of Bain Capital Ventures calls Morris’s network “the best” he knows in financial services. Morris, 59, worked for General Atlantic, Visa, and Citigroup before starting Nyca. The firm’s first investment was in payments start-up Payoneer. The first deal for Nyca’s third fund — which had a first close in July and is seeking to raise $200 million — was Ethic, a technology-driven asset manager that offers socially responsible investments. Along the way, Nyca has bought stakes in mortgage technology company Blend Labs; LendingClub Corp., which Morris, as chairman, helped steer through allegations of CEO misconduct; and SigFig, a fintech company focused on wealth management. Nyca is currently making eight to ten new investments a year and is up to 57 portfolio companies, Morris says. 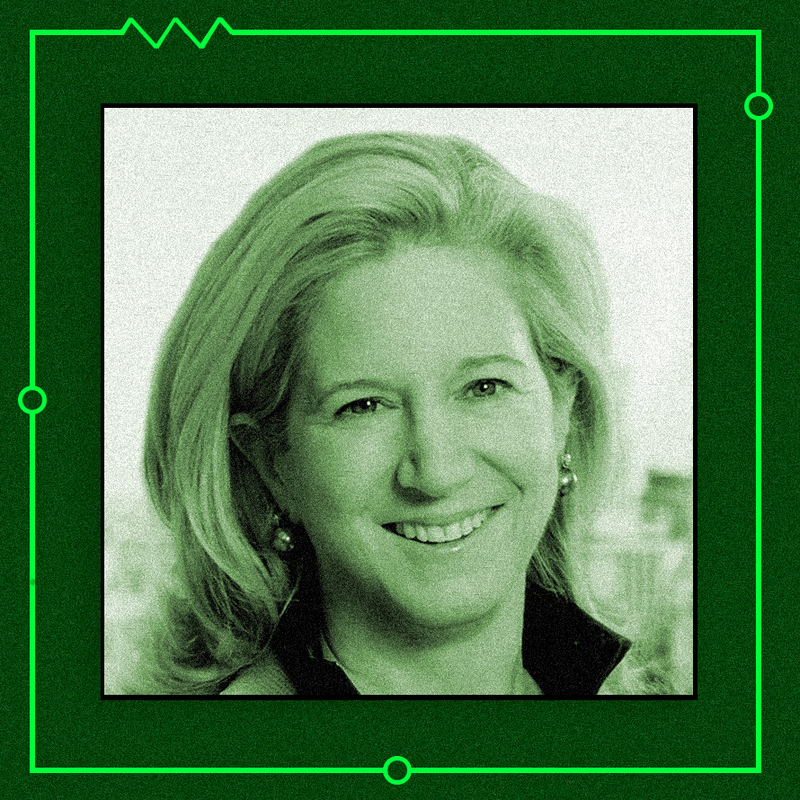 Financial technology M&A is “firing on all cylinders,” Jane Gladstone says. The Evercore senior managing director, who turns 50 this November, has been in financial technology investment banking for 28 years and says the deal-making environment has never been better. As the industry grows up, Gladstone’s list of deal credits gets ever longer. For example, she recently advised NEX Group on its $5.7 billion sale to CME Group, PayPal on its $2.2 billion acquisition of European payments start-up iZettle, Safe Banking Systems on its sale to payments and compliance company Accuity, and index maker Alerian on its acquisition by private equity firm Aretex Capital Partners. Gladstone also worked on Siris Capital’s $1.5 billion transaction with SS&C Technologies for enterprise collaboration software company Intralinks Holdings. In June, Citi Ventures and investment services technology company Computershare rolled out Proxymity, a digital proxy voting system developed using D10X. The underlying technology for the product, which aims to provide greater accuracy, efficiency, and transparency in shareholder voting, arose from a Citi innovation lab in Tel Aviv. 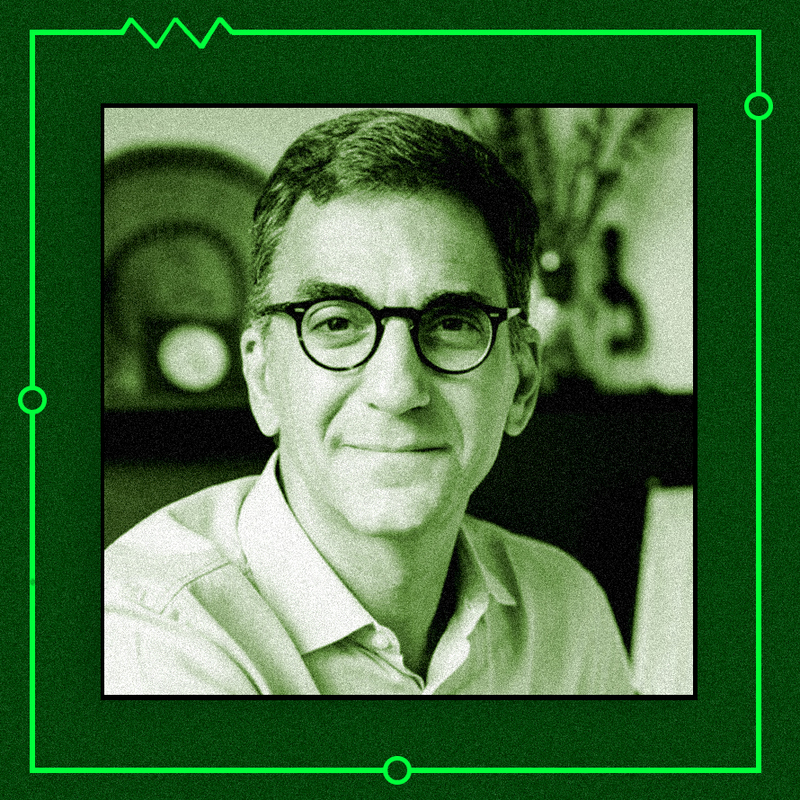 Colella says managing a venture portfolio is different from the “expansive view of innovation” that the bank takes with regard to encouraging experimentation and nurturing talent. These strands come together in ways that help Citigroup tackle technological and marketplace disruption. 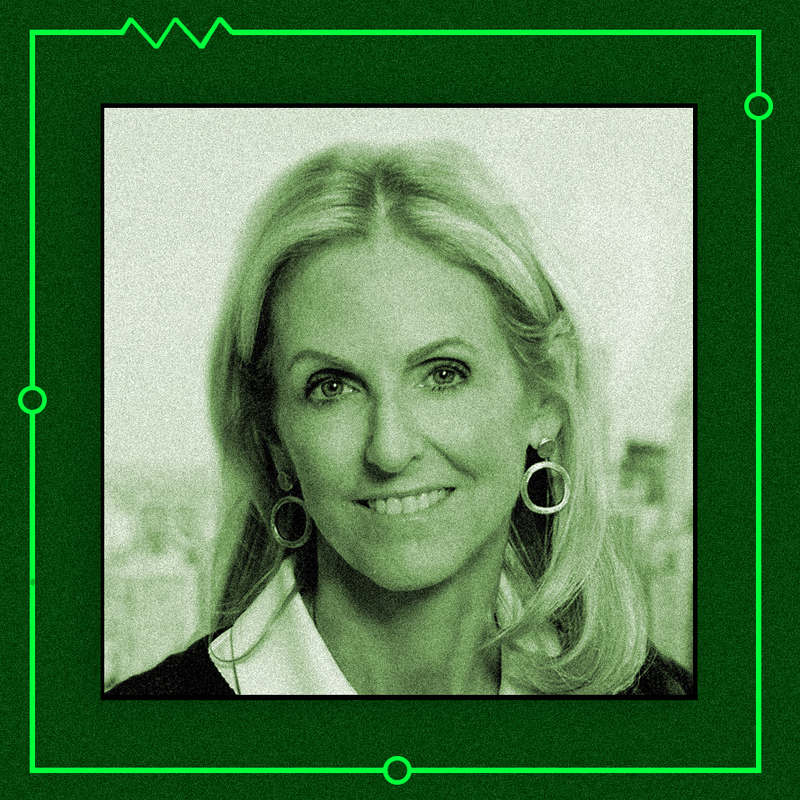 Colella, 48, moved from a senior marketing role at the bank to Citi Ventures in 2013. She has headed the San Francisco, California–based unit since January 2017. “Household brands” is key for Malka. Palo Alto, California–based Ribbit has seen that status achieved — at least within some market niches or demographics — by such holdings as cryptocurrency wallet company Coinbase, consumer credit portal Credit Karma, and robo adviser Wealthfront. Portfolio companies Malka considers to be in “exit velocity stage” include Nubank, Raisin, and Revolut — all in banking or payments services — as well as investment platform Robinhood and Indian insurance marketplace Policybazaar. Also in that “velocity” category is Brex, a corporate credit card start-up for which Ribbit participated in a $50 million Series B financing in June with PayPal founders Max Levchin and Peter Thiel, among others. In 2000, when Credit Suisse launched its financial technology investment fund, there was no talk of cloud computing or machine learning, and no “fintech.” But Alan Freudenstein, co-head and portfolio manager with Gregory Grimaldi since day one, says that for all the change in the tech landscape, the drive for “better, cheaper, faster, and more efficient” has been and will remain a constant. That’s the antidote to ever-present cost and margin pressures, and thanks to modern computing advances, “there’s lots of innovation going on” to stoke R&D and investment, Freudenstein, 54, observes. Credit Suisse Asset Management’s NEXT Investors, which initially invested off the bank’s balance sheet, attracted outside money for a $400 million-plus fund that closed in 2013. In July 2018 it closed a second fund, at $261 million of committed capital. As of October, NEXT had deployed a total of $503 million across 72 investments. Net of exits — such as 2017’s sales of foreign exchange trading platform Fastmatch to Euronext and compliance systems company Actiance to K1 Investment Management — there were 21 active portfolio companies. In December 2017, NEXT made a $6 million Series A investment in LUX Fund Technology and Solutions, which sells into the alternative-assets industry. This October, NEXT led a financing for Hentsū, a provider of cloud-based technology services to hedge funds and other asset managers. Grimaldi, 44, points out that “you need an infrastructure” to take full advantage of the public cloud. Hentsū thus addresses a practical problem, in keeping with NEXT’s strategic thesis. 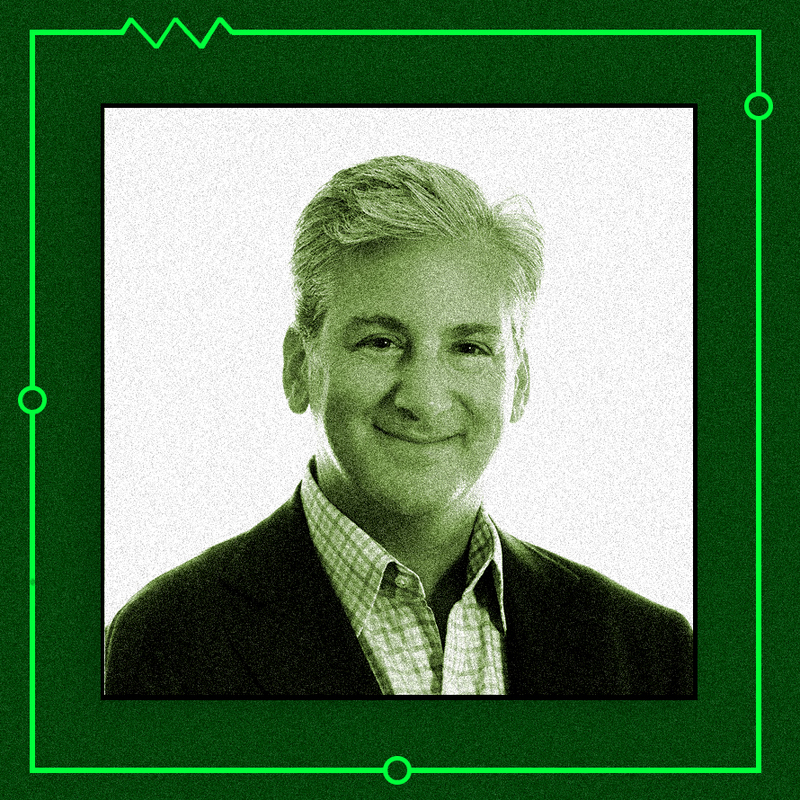 Former Marsh & McLennan Cos. chairman and CEO Jeff Greenberg went into private equity investing not to destroy the old order, but to create value. There is a difference between disrupters who are motivated to “displace incumbent players” and enablers who can “help industries modernize,” notes Greenberg, who founded Aquiline Capital Partners in 2005. Today Greenberg’s premise is conventional fintech wisdom: that well-conceived partnerships mutually benefit entrepreneur enablers and the established institutions they work with. Case in point: Togetherwork, a provider of software and payment services for affinity groups, which Aquiline bought in 2015, grew into a family of affiliated companies (three were acquired last year) with payments industry veteran Neil Platt as CEO; it was sold in March to GI Partners. In May, Aquiline acquired compliance software company RIA in a Box, which gained an executive chairman in the deal: Barnaby Grist, formerly of Schwab Advisor Services and Cetera Financial Group. The early-stage Aquiline Technology Growth Fund, which announced its final close in July 2017, participated in September in a Series A funding of in-car commerce start-up Cargo. SenaHill Partners, according to managing partner Justin Brownhill, is a “trusted voice and connector to the industry.” That’s a bold claim for a firm that is merely five years old, but Brownhill, 47, rests his case on cumulative experience. 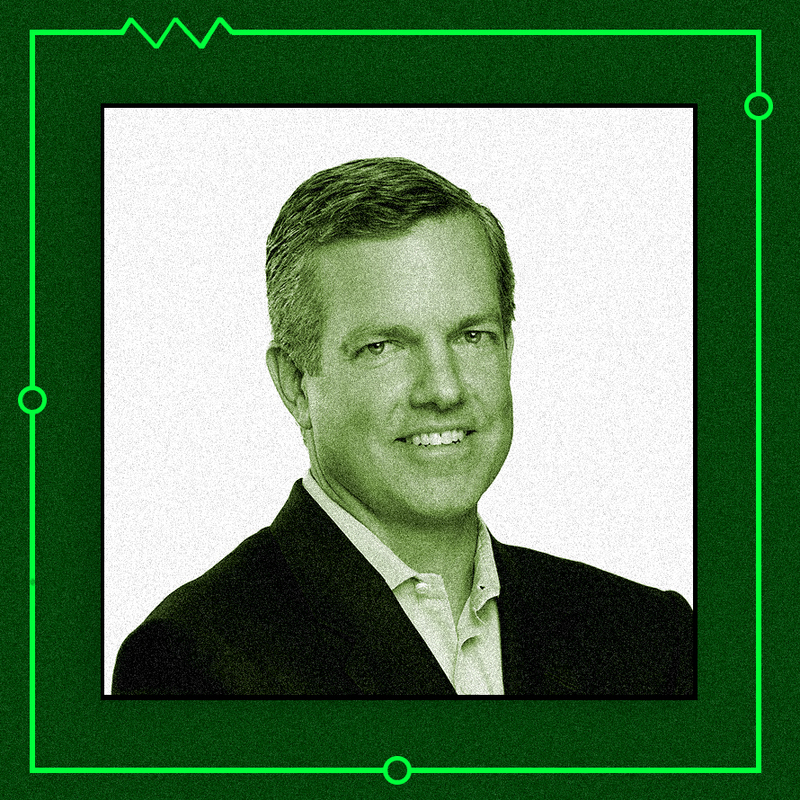 He and other leaders of the 20-person firm, including partners Gregg Sharenow and Kyle Zasky, have a combined 150 years under their belts in financial technology executive and operational roles. New York–based SenaHill adapted the time-tested merchant banking model: making principal investments (led by Zasky, co-founder of trading technology company EdgeTrade) while “connecting the dots” between established players and entrepreneurs through investment banking (overseen by Brownhill, a Wall Street veteran and former CEO of Receivables Exchange) and consulting (headed by managing director Richard Korhammer, formerly CEO of Lava Trading). “Fintech touches everything,” says Brownhill. “Financial services is a $1 trillion industry that is transforming into a fintech industry, which will be a multitrillion-dollar industry globally.” SenaHill maps out five sectors for coverage: wealth tech and investment management; insuretech; banking, lending, and payments; capital markets and exchanges; and emerging technologies, among them artificial intelligence, blockchain, and cybersecurity. 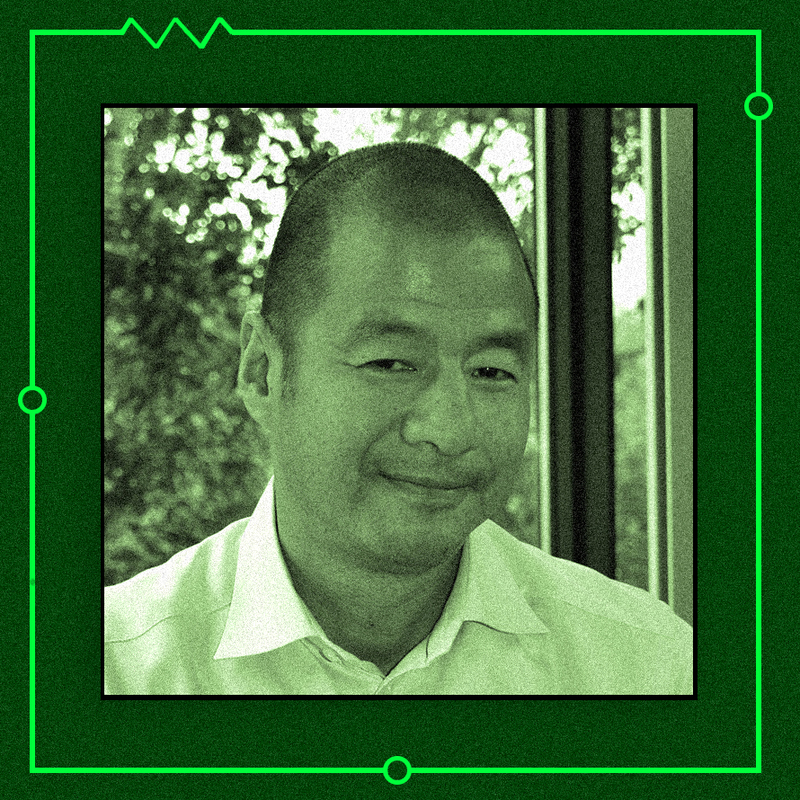 SenaHill’s portfolio includes distributed-ledger technology firm Symbiont; custom trading strategies provider Tradelegs; compliance firm Trunomi; and Crux Informatics, a data management technology company that counts Citigroup, Goldman Sachs Group, and Two Sigma as minority investors. Brownhill notes that the untimely death last year of co-founder Neil DeSena set back some of SenaHill’s growth plans. But with a pickup in investment banking, and consulting assignments with top-tier banks, brokerage firms, and exchanges, “2018 is the breakout year that we hoped 2017 would be,” he says. Jay Reinemann relished getting a fresh start in early 2016. Banco Bilbao Vizcaya Argentaria unshackled BBVA Ventures, becoming a limited partner and allowing the then five-year-old offshoot to assert its independence as Propel Venture Partners. “It still feels like a start-up,” Reinemann, a Propel partner, says today. 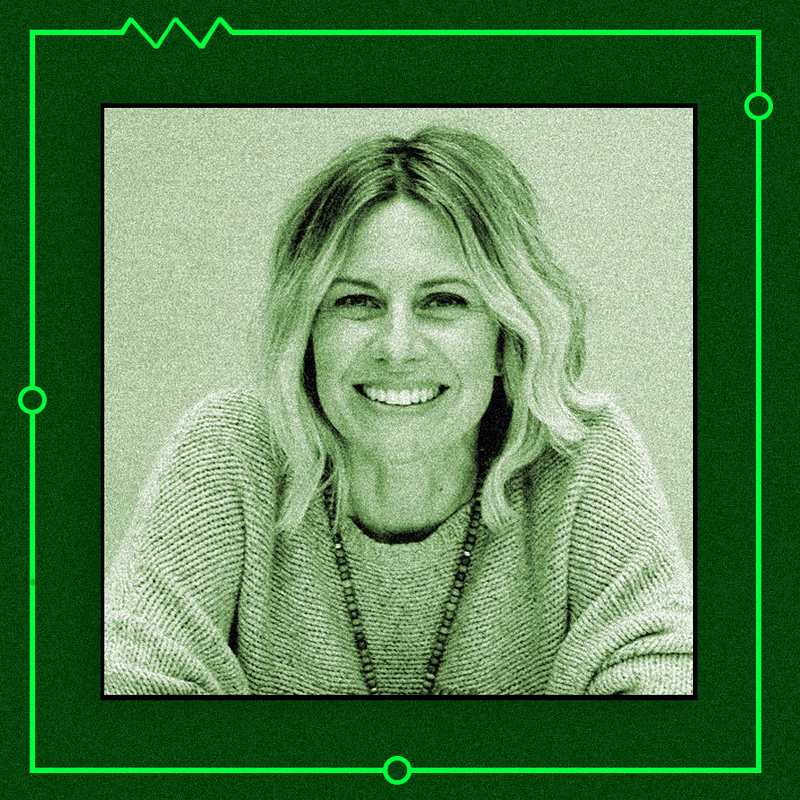 The 49-year old sees the “younger brand” as a way to differentiate the $250 million, San Francisco–based firm in a crowded field. Few if any peers are as focused on fintech with “partners who come only from the financial services industry,” Reinemann asserts. He is a onetime bank loan officer and former lead of Visa’s corporate ventures and strategic alliances group. The other partners overseeing Propel’s nine-person team and 30-plus portfolio companies are Ryan Gilbert (founder of the Better Finance/SmartBiz small-business lending marketplace and co-founder of real estate payments company PropertyBridge), Thomas Whiteaker (a veteran of Visa and Hartford Ventures), and Rohit Bodas (who helped launch American Express Ventures in 2011 and joined Propel in 2017 to lead its international fund). Reinemann notes that overseas momentum is picking up, with half of Propel’s anticipated ten to 12 portfolio additions this year being outside the U.S. The completed deals include £13.6 million ($17.3 million) in Series B financing for U.K. digital mortgage broker Trussle, led by Propel and Goldman Sachs Principal Strategic Investments. Propel also participated in financing $22 million for Brazilian digital bank Neon in a record Series A funding for that country. 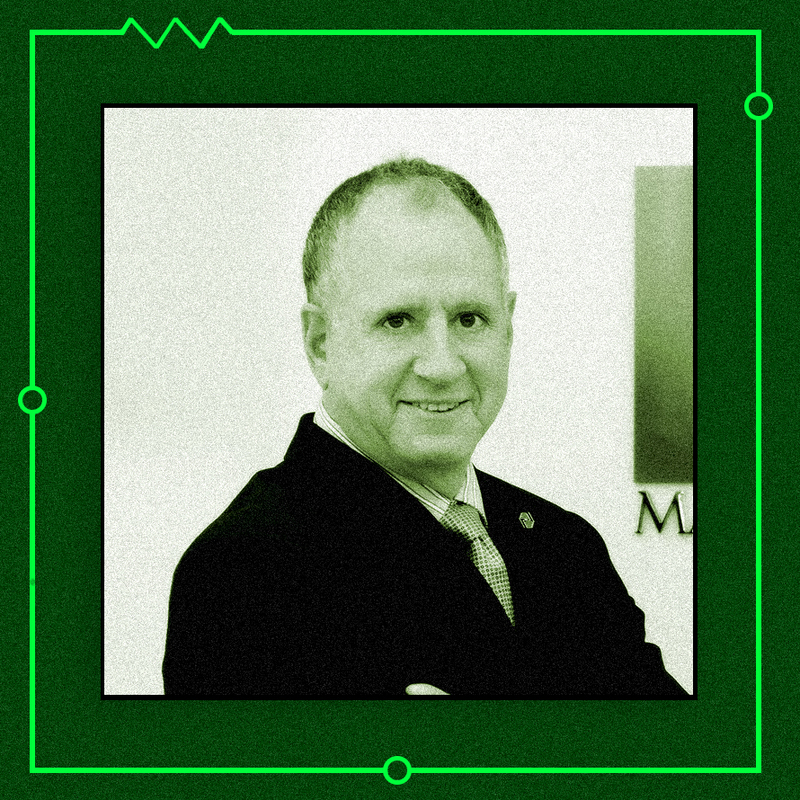 Reinemann and Marcelo Lima of Brazilian venture capital firm Monashees have joined Neon’s board as a result. New leadership is bringing a change in style to Banco Santander’s venture investing arm. 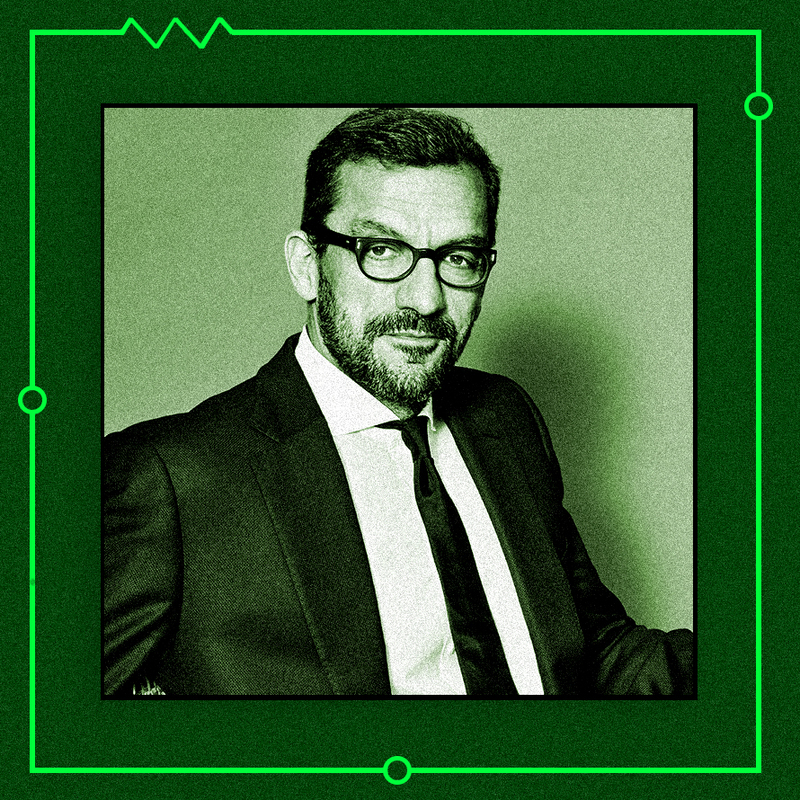 Partner and head of investments Manuel Silva took charge of the $200 million Santander InnoVentures fund early this year when managing partner Mariano Belinky (No. 15 last year) became head of Santander Asset Management. 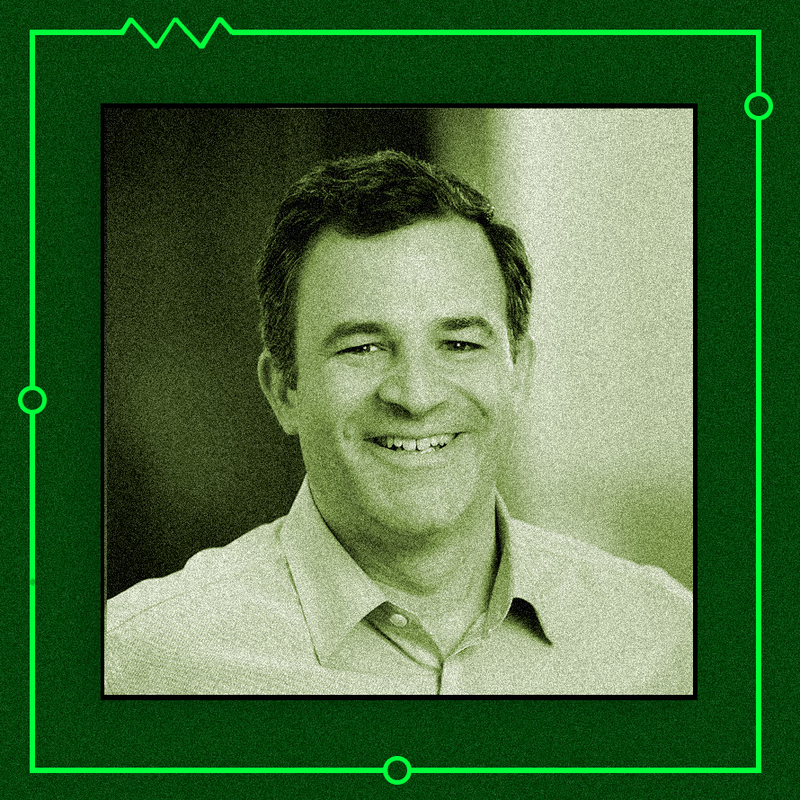 Silva came to Santander InnoVentures in 2015 after nine years with Banco Bilbao Vizcaya Argentaria, where in late 2010 he was a founding member of BBVA Ventures (now Propel Venture Partners) in San Francisco. Silva’s time in and around Silicon Valley, which he currently visits every other month, explains the new tone that the 37-year-old is setting at London-based InnoVentures. 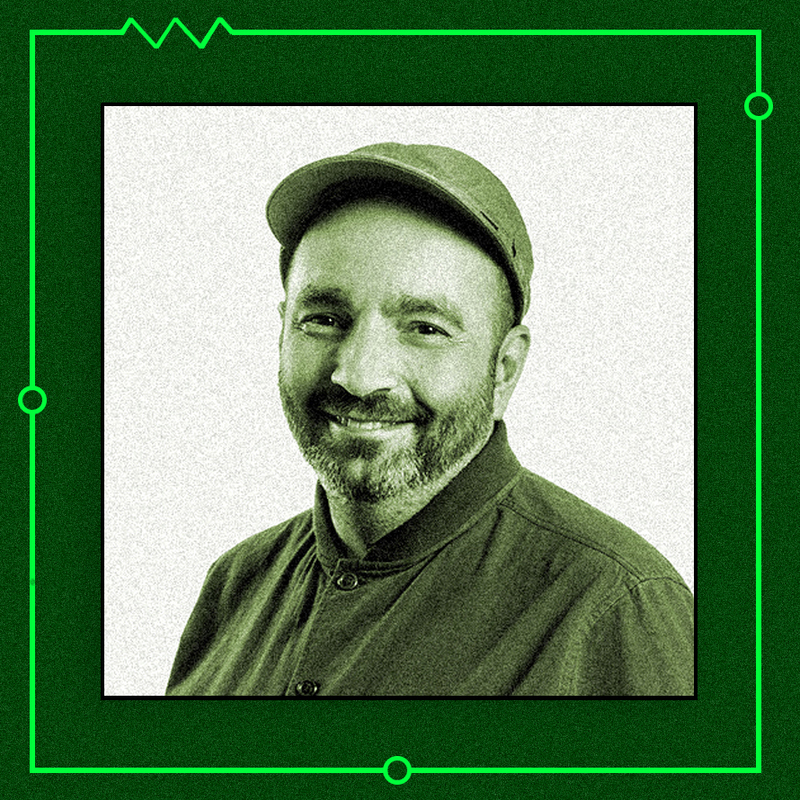 Silbert, 42, has exuded true-believer assurance since he founded DCG in New York in 2014. 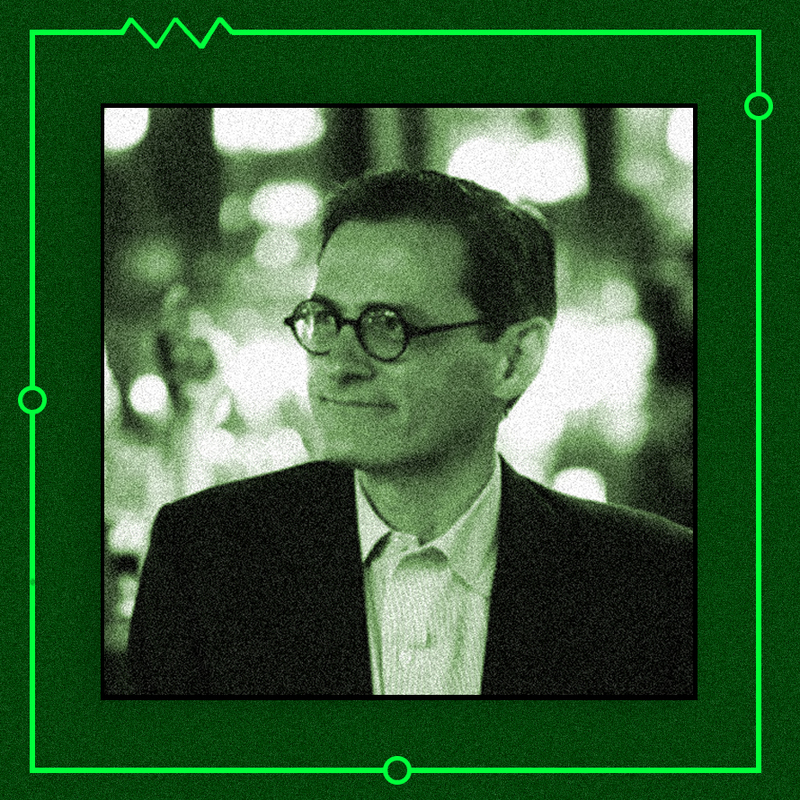 He brought to the venture an understanding of the anarchic origins of Bitcoin (he was trading it as early as 2012); a track record as a fintech entrepreneur (he built private-share-trading platform SecondMarket, acquired by Nasdaq in 2015); and the counsel of experienced hands like Silver Lake co-founder Glenn Hutchins, a DCG board member. 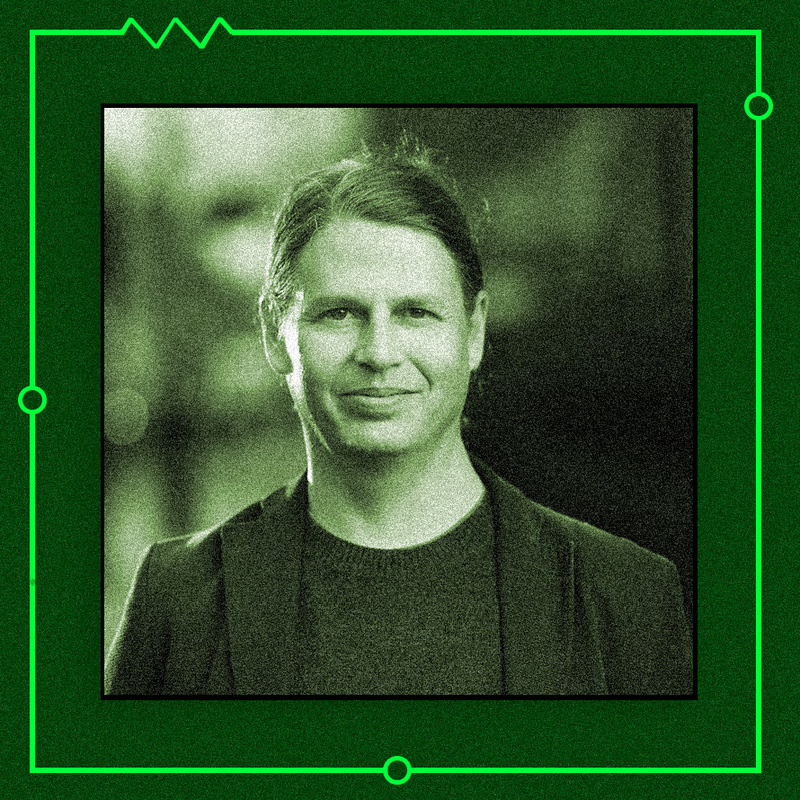 Along with Grayscale and a trading operation, DCG manages a portfolio of more than 125 cryptocurrency and blockchain companies in more than 30 countries, guided by an investment committee that includes Matthew Harris (No. 4 in the ranking) of Bain Capital Ventures and James Robinson IV (No. 6) of RRE Ventures. Investments run from capital markets blockchain software company Axoni to “privacy-protecting digital currency” Zcash. The firm takes a long-term view because “in their technological transformation, these industries are only at the beginning of the journey,” says Robinet, 51, who previously was CEO of AXA Rosenberg, chief risk officer of AXA Group, and managing director of AXA Life Invest. AXA Venture Partners now has a team of 19 and more than 30 portfolio companies. Over the past year it joined Microsoft Ventures in an investment in Contrast Security and joined Anthemis Group in financing direct lending platform Goji. In May, AXA led a $22 million Series B financing for talent marketing platform Phenom People. On top of its $275 million fund for direct investments, the AXA unit has $175 million for deployment into other funds. The fund-of-funds initiative is led, as of a year ago, by London-based principal Dominic Maier, who was formerly a vice president at Adams Street Partners. There are common, if crude, metrics to compare venture investing activity from firm to firm or one year to the next, such as number of investments. Cristóbal Conde has had a net gain of ten portfolio companies this year, to 38 as of mid-November. 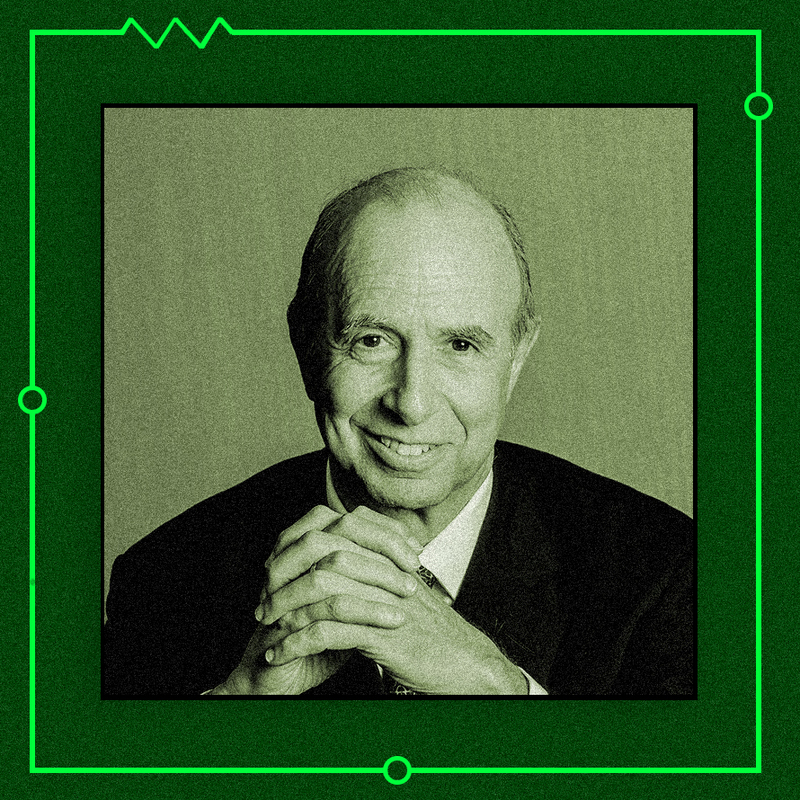 Even that hardly represents Conde’s influence in the fintech world as an individual investor. 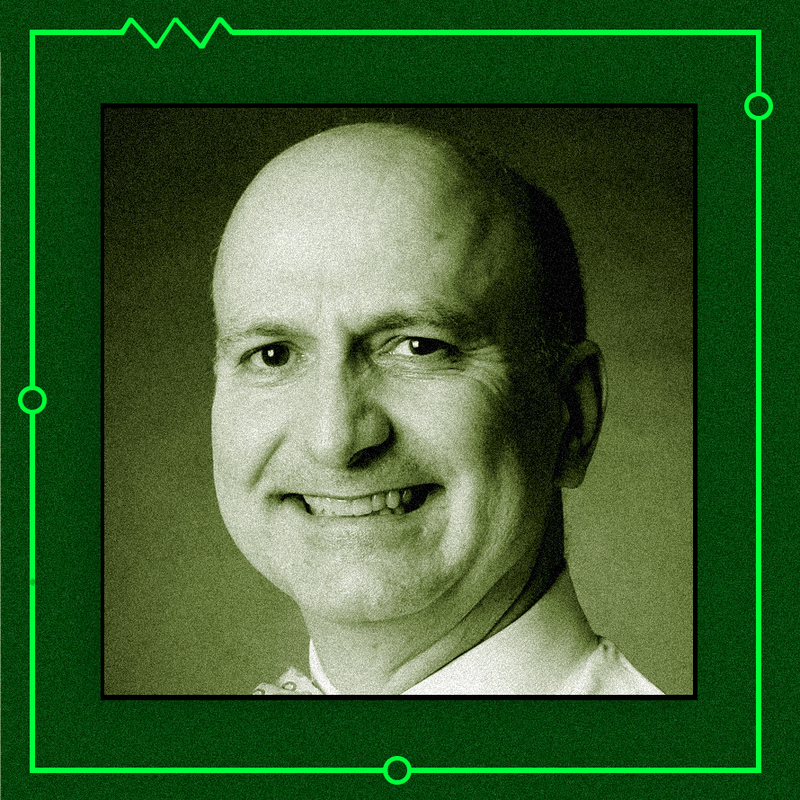 The 58-year-old shares a lifetime of experience — from running his own start-up to serving as CEO of SunGard Data Systems from 2002 to 2011 — as a board member or board adviser for many of those 38 companies. Among these are blockchain developer Digital Asset Holdings and Duco, which supplies advanced data reconciliation technology to major financial institutions. For others, such as Calastone (fund management technology) and Kasisto (conversational artificial intelligence), Conde serves in non-director advisory capacities. With a few he is “passive — they don’t call me unless something big and irreversible happens,” he says. On top of that, there are advisory relationships with nine funds — private equity firm Accel, in London, is his principal affiliation, as entrepreneur in residence — and with consulting company Teneo. And Conde volunteers as a mentor with several accelerator programs, including FinTech Innovation Labs in London and New York. 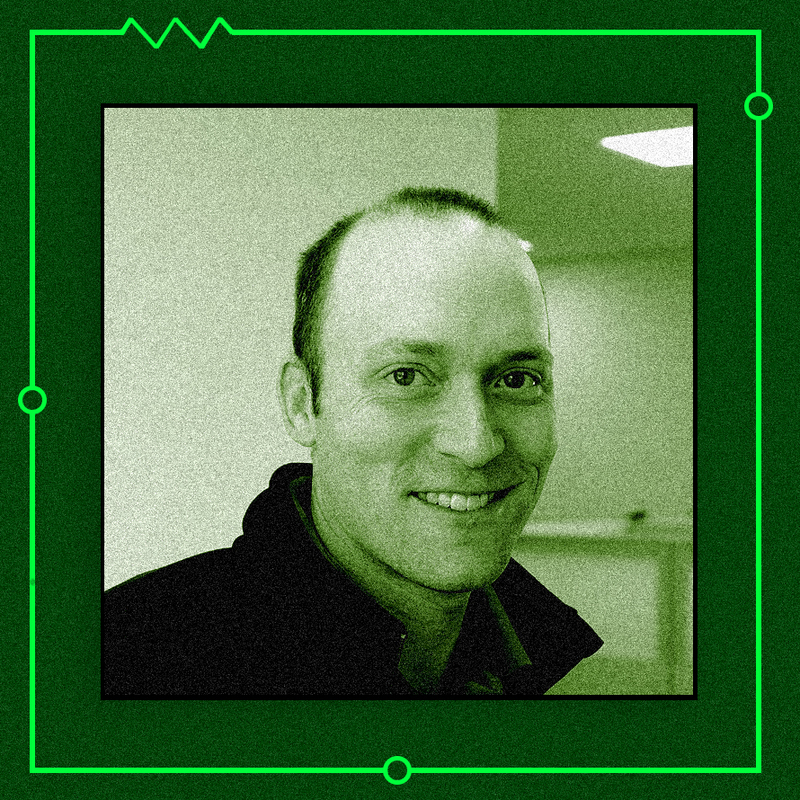 “My time with accelerators is how I stay on top of things,” he says. “It gives me direct exposure to roughly 100 companies per year” — and sometimes he invests. As a nonprofit supporting microfinance around the world since 1961, Accion doesn’t fit the mold of a mainstream, incumbent bank coming to grips with recent technological disruptions. Yet it has embraced an investment strategy — including entrepreneurs at seed stage and beyond, and with a global reach — on a par with those of major venture capital operations. Cambridge, Massachusetts–based Accion invests through three funds: Accion Global Investments, a portfolio of established service providers; the seed-stage Accion Venture Lab, where Accion brings the first institutional money; and Accion Frontier Investments, a partnership with fund manager Quona Capital. Two Sigma Investments, a hedge fund firm driven by technology and data, has passed its investing approach along to its venture capital arm. 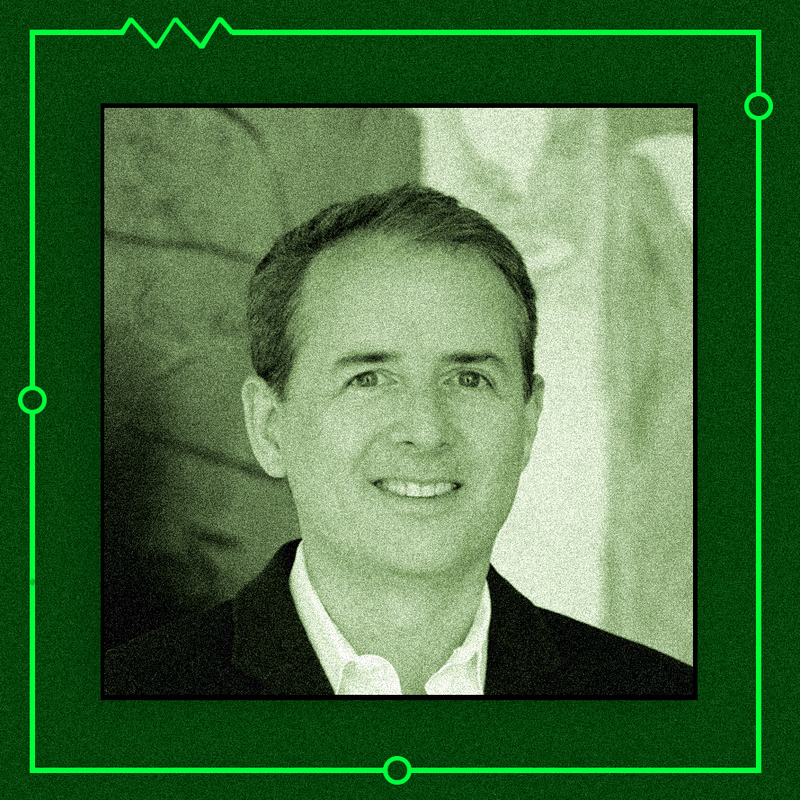 Two Sigma Ventures is “supporting companies using data science and advanced engineering to create the future,” says partner Colin Beirne, who leads a team of 15 managing a 51-company portfolio. But the six-year-old fund isn’t strictly focused on fintech and does not make so-called strategic investments on behalf of, or directly related to, the parent firm. For example, Two Sigma’s participation in a recently closed $20 million funding round for data engineering and management company Crux Informatics was strategic — not a Two Sigma Ventures deal. 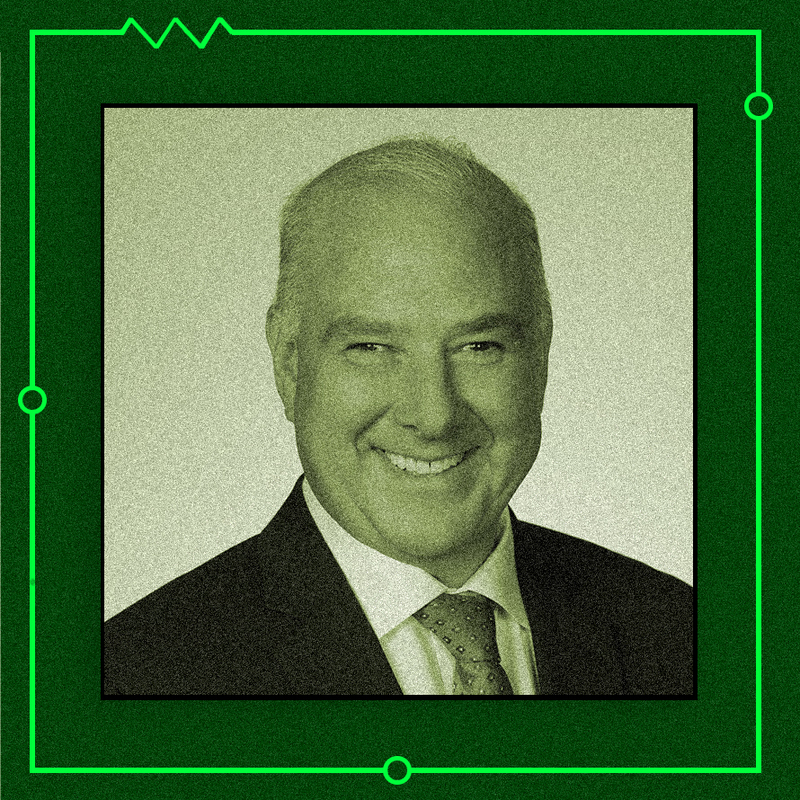 There is, however, “connective tissue” between the venture firm and the 1,300-plus people at New York–based Two Sigma, Beirne says. The VC firm’s nine advisers and venture partners are “longtime employees of or leaders at Two Sigma,” including chief innovation officer Matt Greenwood and chief technology officer Alfred Spector. New investments over the past year include biotech company Kallyope; personalized-marketing business Lytics; enterprise messaging company Message.io; supplier data analytics business Suplari; and Timescale, an open-source database. There were also follow-on investments in holdings such as Mesosphere, a provider of cloud software and services; Whoop, a developer of wearable technology for athletes; and data analysis companies Enigma Technologies and InsightSquared. 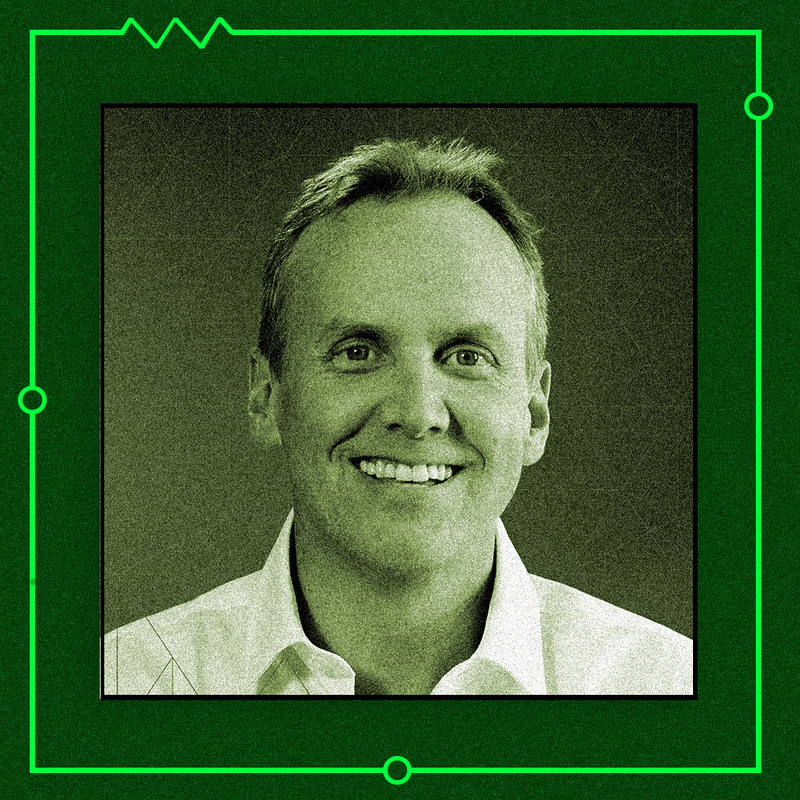 Coming out of Oak Investment Partners, Lamont, Kemp, and general partner Andrew Adams co-founded Greenwich, Connecticut–based Oak HC/FT in 2014. Data and artificial intelligence are common themes. A 27-person team manages the portfolio of about 30 companies, including Feedzai (payment fraud management and anti–money laundering), Kasisto (conversational AI for customer service), and Urjanet (utility and energy data). 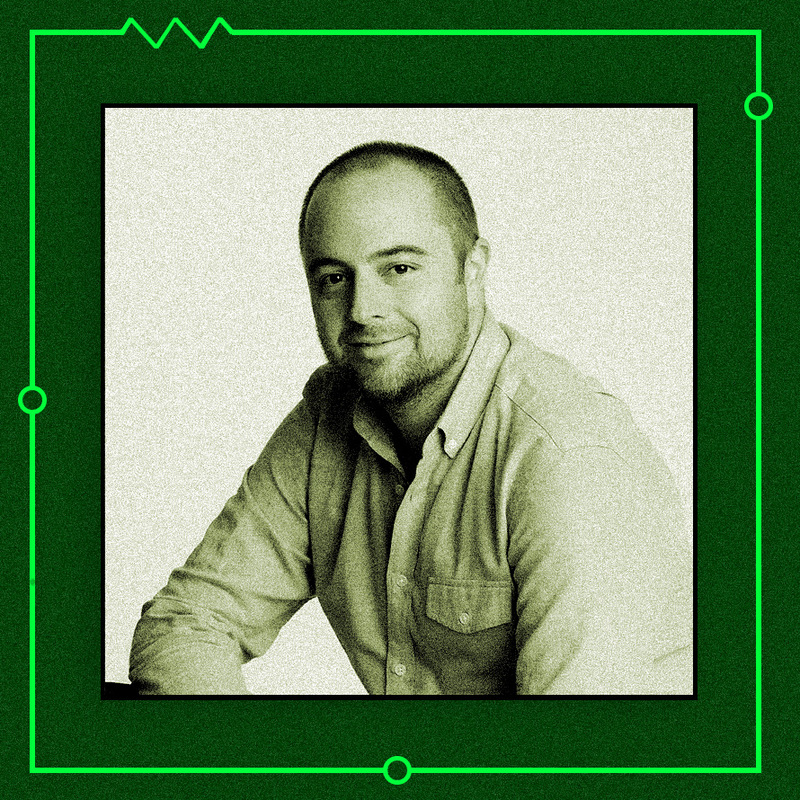 In July, Oak HC/FT led a $30 million Series B round for data science–driven insuretech company Groundspeed Analytics, whose co-CEO, Andrew Robinson, was an Oak HC/FT executive in residence. And the firm led a $14 million funding for Pagaya Investments, which uses big data and machine learning in institutional money management. On the digital-health side, Oak HC/FT and Sequoia Capital spearheaded a $27 million Series B round for Maven, which provides care and support for employees starting families. Maven’s objective is to “make returning to work a viable option, thereby reducing one of the major sources of talent drain in the U.S. economy,” Lamont said in the September announcement. 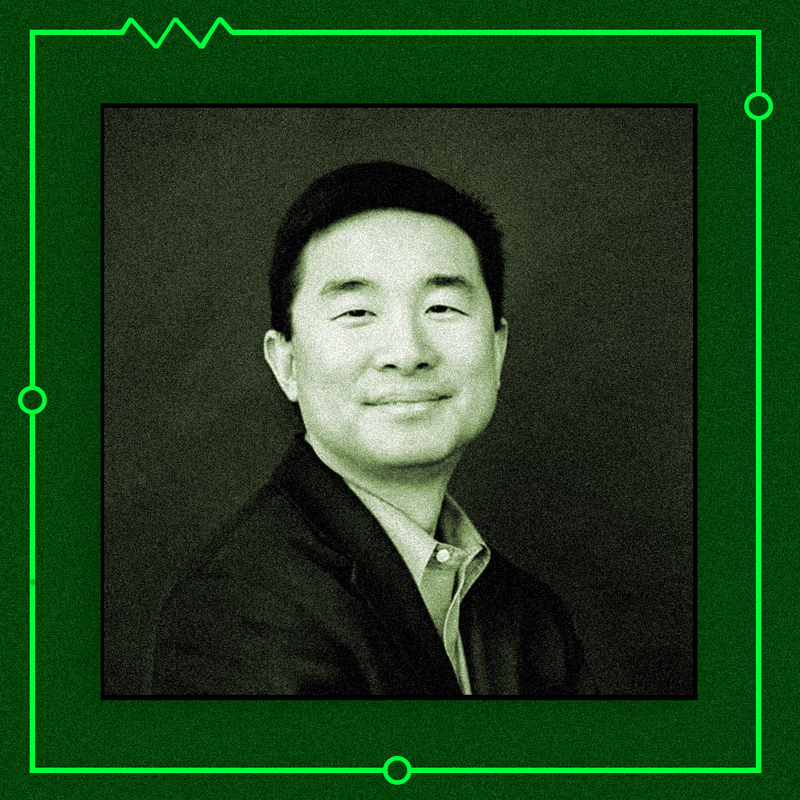 WorldQuant Ventures managing director Steve Lau, a veteran Wall Street trader and individual fintech investor, says that the unit scans 500 to 1,000 potential investment targets annually, on a par with other leaders in fintech financing. 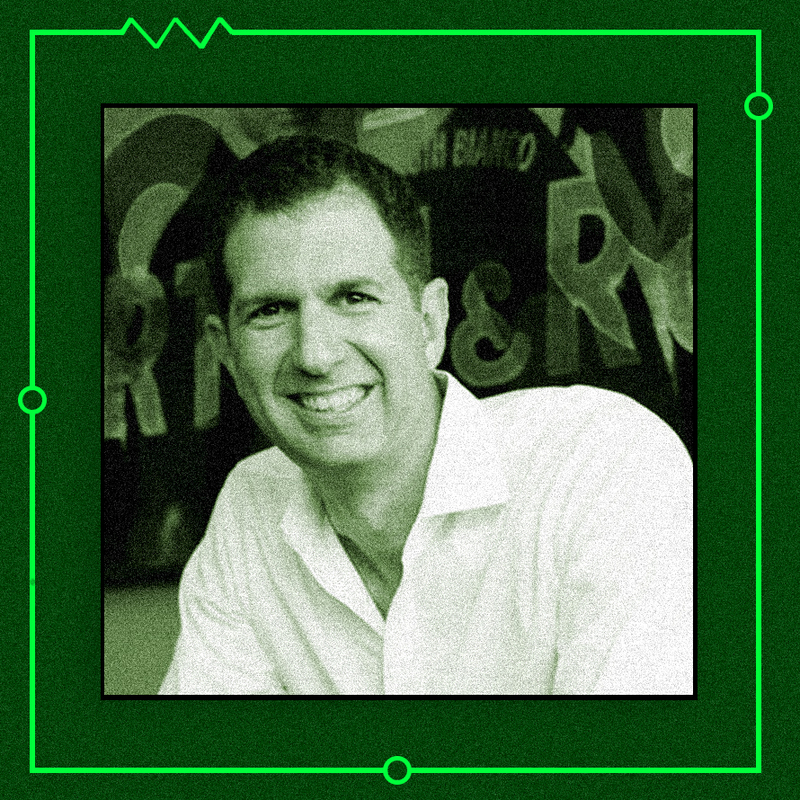 There are six on the ventures team, including, as of October 2017, managing director Mark Danchak, who has worked in start-ups as well as for Carbon6 Ventures, Barclays, and Harbinger Capital Partners. 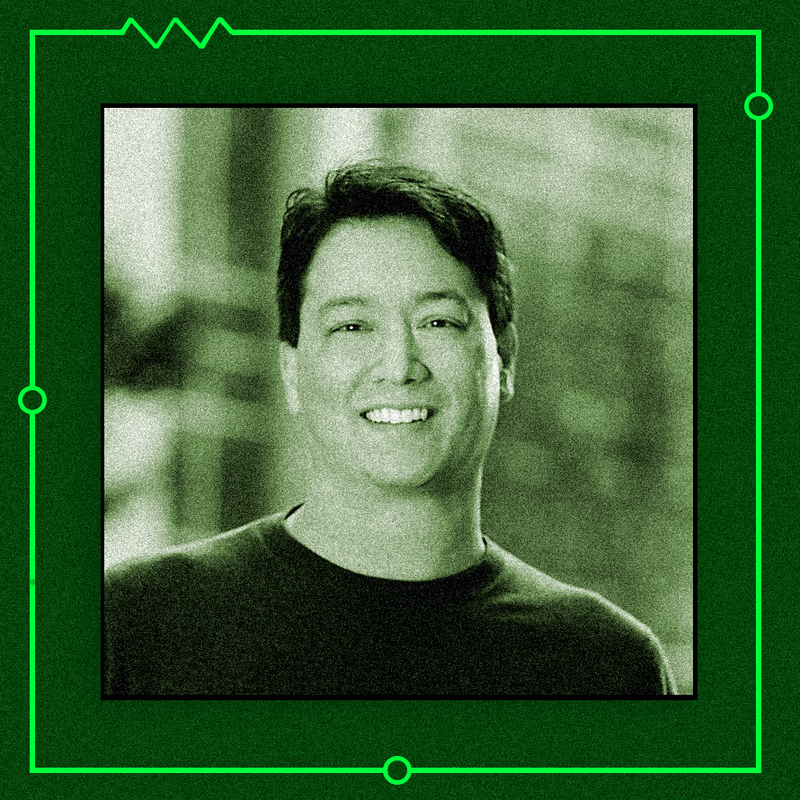 Inspired by the methods of WorldQuant, Lau, 51, is looking to bring to private investing “data and prediction models to identify companies, while automating more of the diligence process. This is allowing our cross-disciplinary team to evaluate a broader array of investments in areas as diverse as finance, health care, energy, and quantum computing.” Portfolio companies QxBranch and Rigetti & Co. are pushing the quantum envelope, says Lau. Andreessen Horowitz was formed in 2009, just as fintech investing was beginning to take off. But the Silicon Valley venture capital firm bypassed that emerging trend, backing companies like Facebook and Twitter instead. The firm is a bystander no more. Since bringing in Alastair (Alex) Rampell as a fintech-focused general partner in 2015, Andreessen Horowitz — known as a16z — has been growing a portfolio that includes Branch International, a mobile services provider for emerging markets; Descript, a transcription company; Earnin, an app that helps consumers take a cut from their paychecks before depositing them in their banks; PeerStreet, a real estate financing firm; Point, a home equity investor; Quantopian, a crowdsourced investment firm that helps develop algorithms; and TransferWise, a money transfer company. Rampell is a board member of all these companies. Among other holdings are consumer lender Affirm; insurance firm HealthIQ; data encryption company Very Good Security; and home-buying businesses Divvy Homes, FlyHomes, and Opendoor. In May 2016, Steven A. Cohen opened Point72 Ventures to make early-stage technology investments alongside his Point72 hedge fund firm. Pete Casella was the first employee hired by Cohen and Ventures managing partner Matthew Granade. Now 41 and the partner in charge of fintech and financial services, Casella has taken Point72 Ventures from zero to 25 investments in the sector, making it “the most active and impactful early-stage fintech fund in the world,” according to Casella. 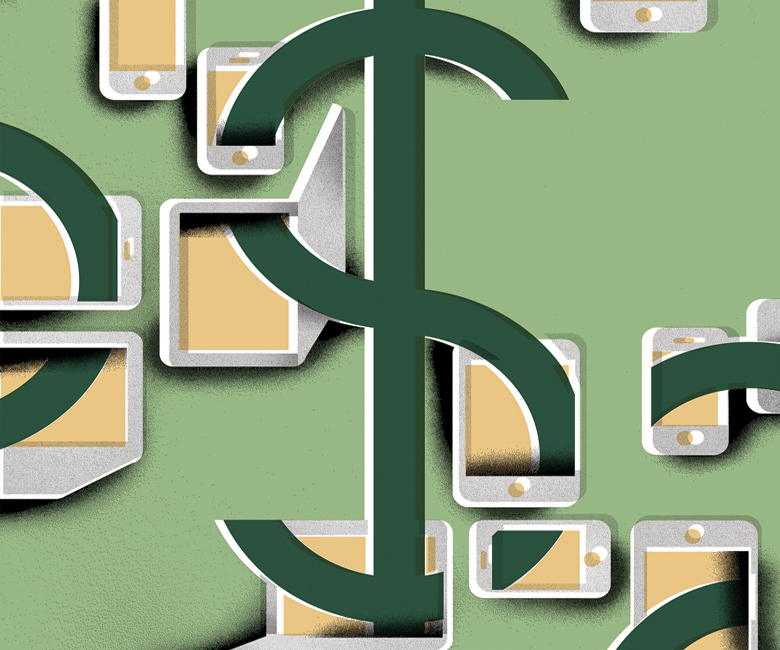 About half of Ventures’ 20 people work on fintech, and the firm has two additional areas of focus: artificial intelligence and enterprise solutions. The portfolio includes Acorns (personal finance), AlphaFlow (real estate asset management), Cloud9 Technologies (trading floor communications), Quantopian (crowdsourced quantitative algorithms), Roostify (mortgage lending), and Street Contxt (investment research). In an August “clients and friends” email, Marlin cautioned that “the rising tide is not lifting all boats (or all fintech companies).” Firms with insufficient scale and revenue growth cannot keep pace with those “that have reached scale, use modern proprietary technology,” benefit from serving “a large and growing niche,” and are “experiencing strong top-line growth,” he wrote. Does Atlanta rank among the world’s leading hubs for financial technology development? Gardiner Garrard III believes that it does, even if it doesn’t get its due. In a sense, that’s good news for TTV Capital, which Garrard co-founded in the Georgia capital 18 years ago after earning an MBA degree from Emory University’s Goizueta Business School. Atlanta isn’t crawling with venture capitalists chasing a finite number of promising start-ups, à la Silicon Valley and other, more populated high-tech and financial centers. Garrard was able to construct what he calls “the only Georgia-based, fintech-focused VC” around a unique local characteristic: the presence in and around Atlanta of many of the biggest bank card and payment processors, such as Elavon, Global Payments, Total System Services, and Worldpay. Add to that a strong contingent of tech-driven corporations: Intercontinental Exchange is based in Atlanta, and 120 fintech companies have headquarters or a significant presence in Georgia, within reach of talent from schools like Emory and Georgia Institute of Technology. “Georgia is one of the top five fintech centers worldwide, and in payments is at the very top,” managing partner Garrard, 48, argues. This is not to say that TTV, which has raised four funds and invested in 57 early-stage companies, is regionally confined. Although Garrard says a third of its investments are in the U.S. Southeast, the portfolio includes Seattle cybersecurity firm DefenseStorm, U.K.-based fraud prevention start-up Featurespace, and MX Technologies, a personal financial management company based in Lehi, Utah. One of nine TTV portfolio additions over the past year is Atlanta-based blockchain auditing technology company Verady. TTV had previously invested in cryptocurrency payments processor BitPay, also of Atlanta. There is a class of entrepreneur-turned-investor — à la Marc Andreessen, the web browser inventor who co-founded Andreessen Horowitz, and Peter Thiel, the PayPal co-founder and an early backer of Facebook — that is quintessentially American. German-born, London-based Christian Angermayer could break into the club. 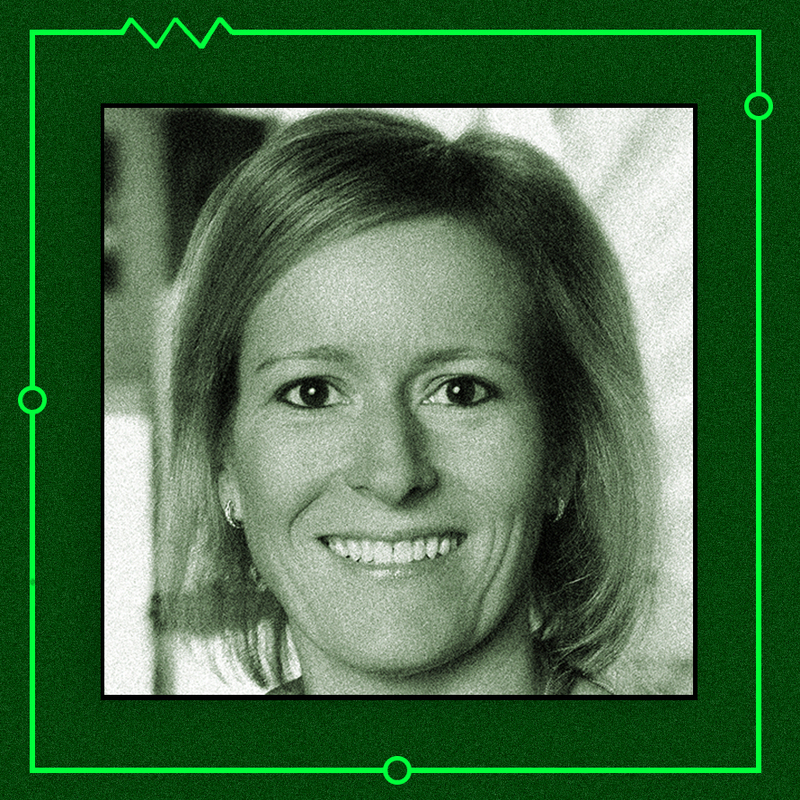 Angermayer, 40, profited early from biotechnology. Ribopharma, which he co-founded in 2000, merged with Cambridge, Massachusetts–based Alnylam Pharmaceuticals in 2003. The following year Alnylam went public. 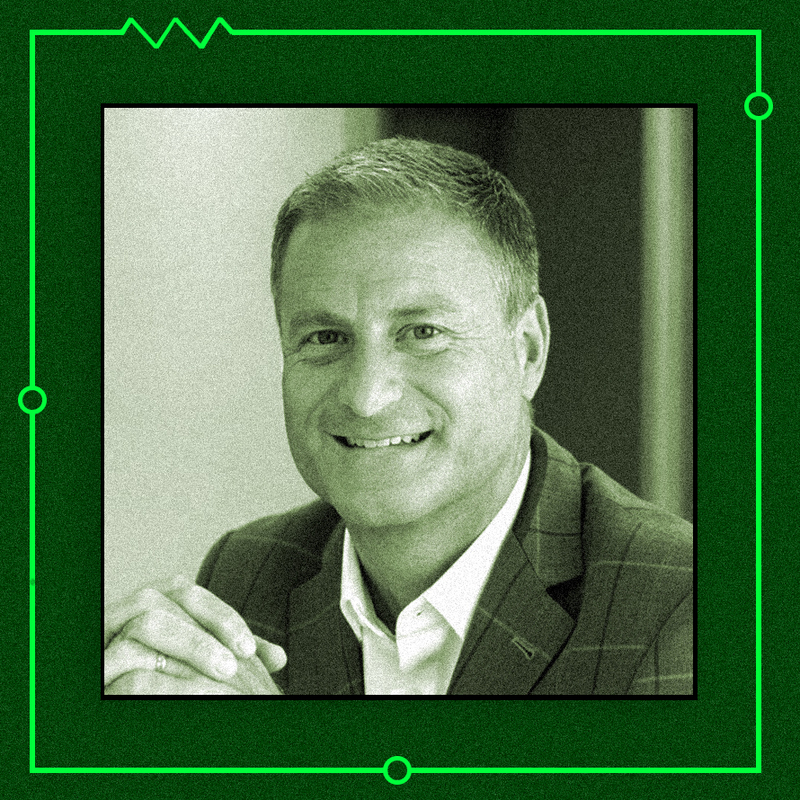 Angermayer then entered fintech through his Malta-based family office, Apeiron Investment Group, while retaining interests in life sciences, entertainment, and publishing. In 2014, Angermayer formed FinLab, a German fintech investment company whose holdings include open banking software platform Deposit Solutions — one of several ventures in which Angermayer and Peter Thiel have co-invested. 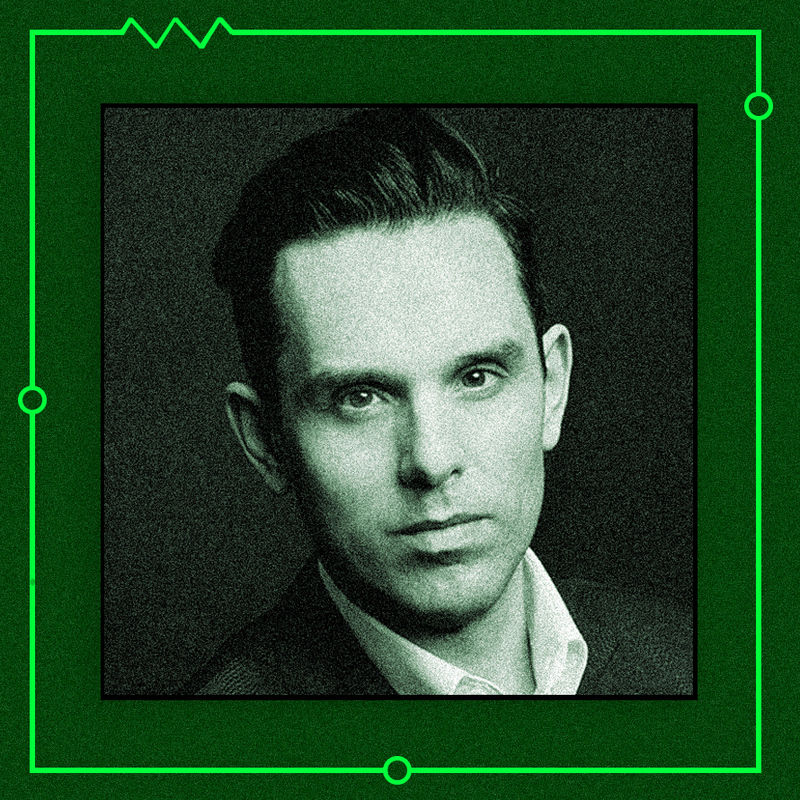 Through Apeiron’s Cryptology Asset Group, Angermayer owns a stake in Thiel-backed Block.one, the originator of the EOS cryptocurrency. 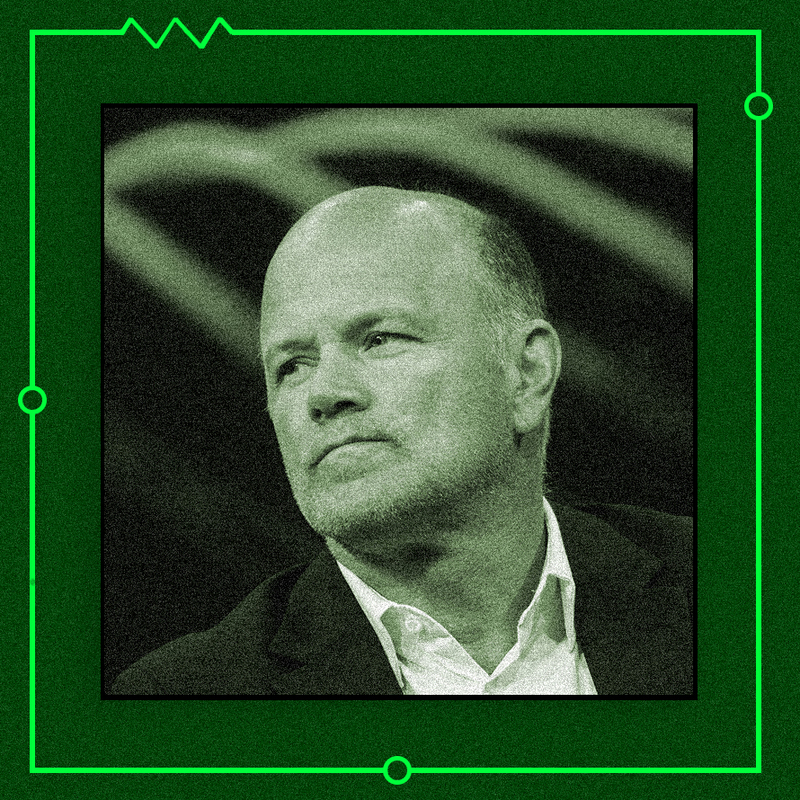 Hedge-fund-manager-turned-crypto-evangelist Mike Novogratz (No. 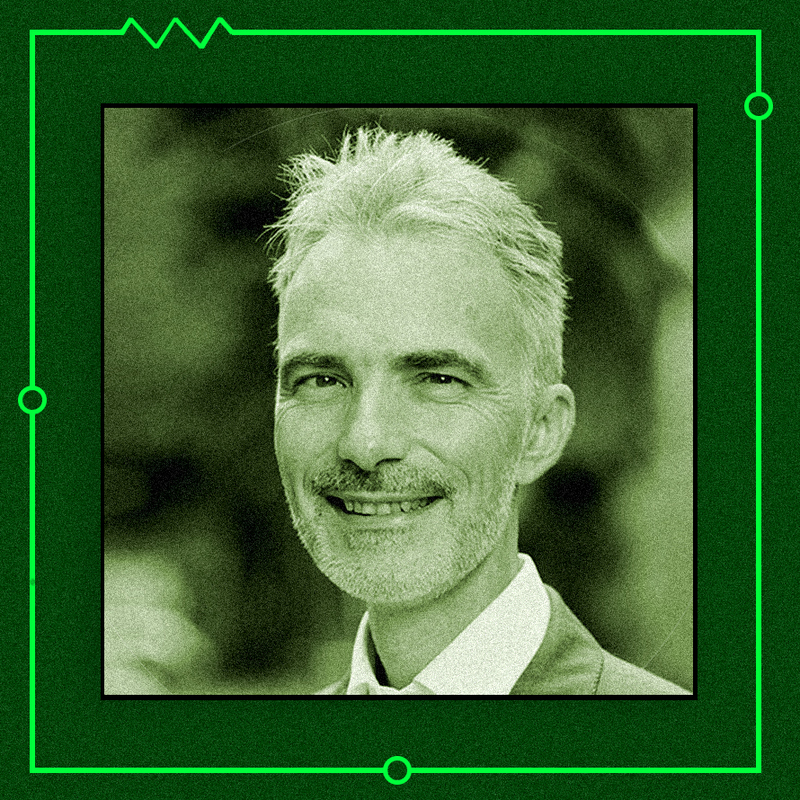 39 in the ranking) sits with Angermayer on Cryptology’s advisory board. Since 1986, Edison Partners of Princeton, New Jersey, has invested in more than 200 companies. Forty-two are in the growth equity firm’s current, active portfolio, with aggregated market value of more than $10 billion invested in financial technology, health care, and enterprise solutions. 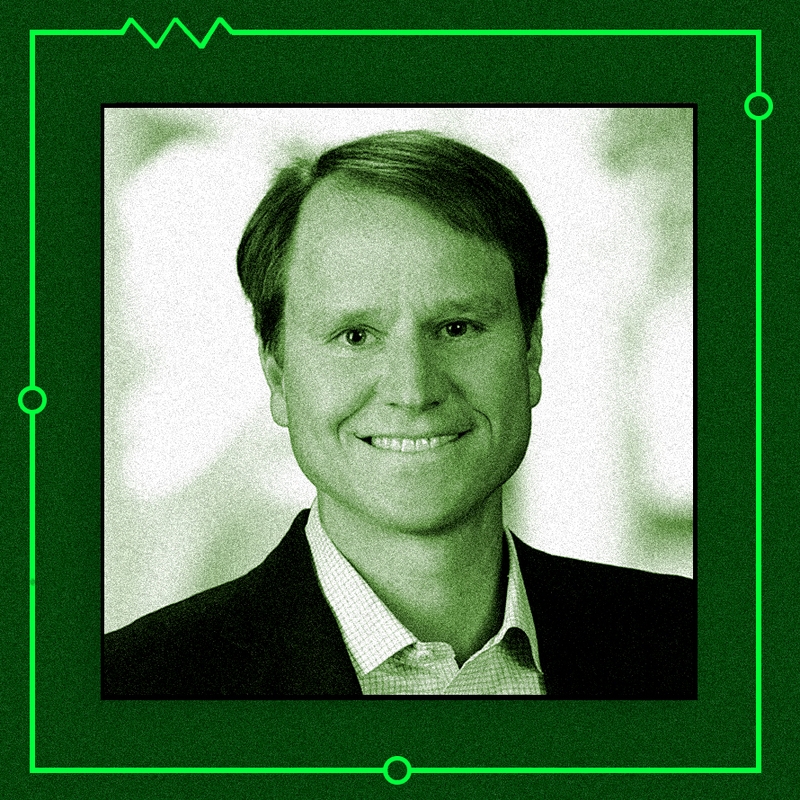 Underlining the emphasis on fintech, which accounts for 40 percent of the portfolio, is the fact that managing partner Chris Sugden devotes most of his time to the sector and sits on the boards of small-business financer BFS Capital; trading software provider Clearpool Group; regulatory compliance firm ComplySci; foreign exchange company GAIN Capital; personal finance firm MoneyLion; predictive analytics start-up Predata; and Zelis Healthcare, a payments and cost management provider that acquired Edison portfolio company PHX in 2016. Motive Partners hits on common partnership and teamwork themes, but with its own personality — or personalities. Co-founders Stephen Daffron, 62, and Rob Heyvaert, 54, began laying the groundwork for their “next-generation investment firm” in 2015 and unveiled it during the World Economic Forum’s Davos gathering in January 2017. The company has 32 people in London and New York, and three portfolio investments: multinational banking systems company Avaloq; LMRKTS, which mitigates operational risk through portfolio compression; and Global Shares, a provider of employee stock option management software. But that is the tip of the proverbial iceberg. 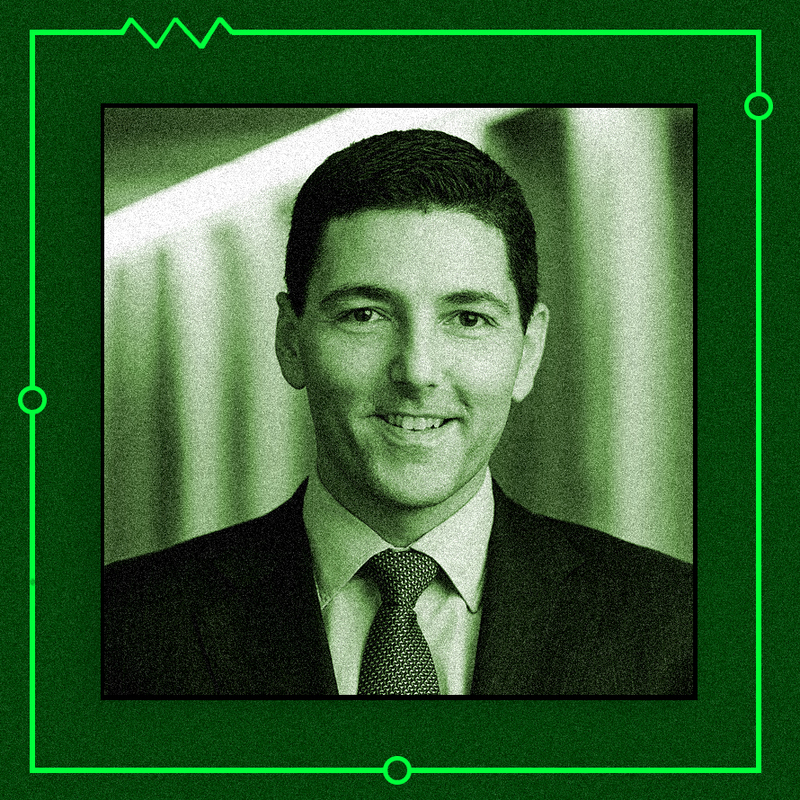 In addition to Daffron and Heyvaert, the leadership team includes senior adviser Michael Hayford (president and CEO of NCR Corp. since April) and Andy Stewart, who ran alternative-investments businesses at Credit Suisse and BlackRock. The overall remit is to “act as a bridge between innovators and incumbents,” Daffron said at the launch. Motive is “positioned to be a shareholder with an active role,” while helping organizations navigate complex regulatory environments, Daffron explained in a recent interview. The firm has established Motive Labs to promote fintech R&D and opened a European Innovation and Investment Center in London’s Canary Wharf. Its global advisory council includes former HSBC Group chairman Douglas Flint, former Treasury Secretary Lawrence Summers, and former Goldman Sachs Group technology co-head Paul Walker. There are many portfolios of fintech investments. TA Associates actually owns Fintech. That’s the brand name used by Financial Information Technologies, which has been processing electronic payments in the alcoholic-beverage industry since 1991. TA in August made a strategic investment of undisclosed size in Tampa, Florida–based Fintech, noting that it serves a complex, regulated business with data and analytics. Such are the qualities that piqued TA’s interest as an investor and operating partner. The Boston-based private equity firm, which is 50 years old and has raised $24 billion in capital, values durable business models. “We think about the quality of the end markets being served, market growth rates, how these businesses will hold up in a downturn,” explains TA managing director M. Roy Burns, 41. The beverage market tends to do well regardless of economic cycle. Another of Burns’s portfolio companies, Rectangle Health, provides payment services in the similarly steady health care market. TA has more than 85 investment professionals across five sectors: business services, consumer, financial services, health care, and technology. 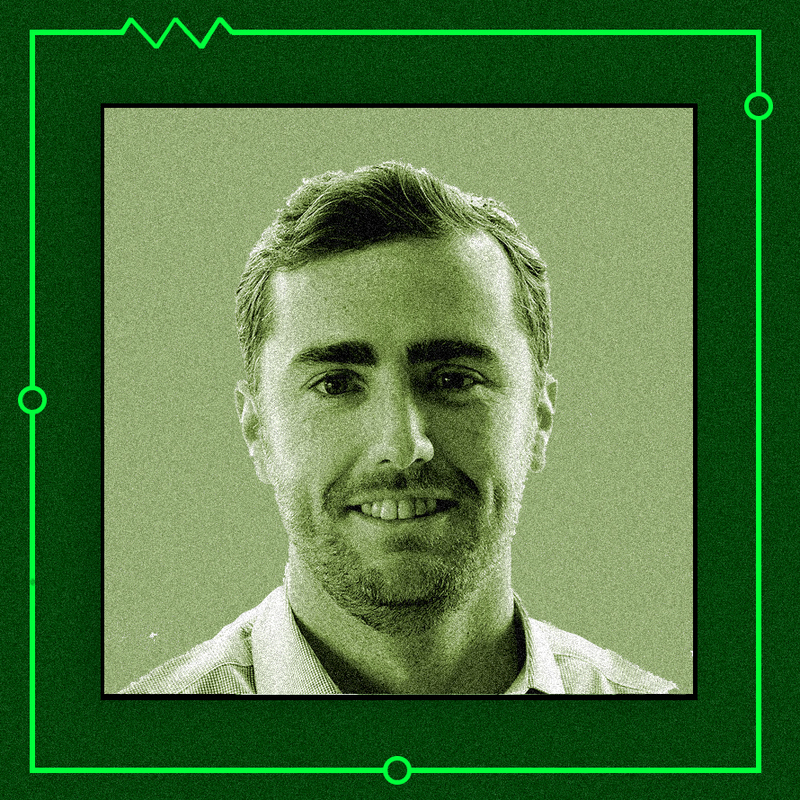 Burns, a Stanford University MBA who joined TA in 2006 after a pre–graduate school stint as an associate, concentrates on payments and wealth management. Kenneth Schiciano (No. 26 in last year’s ranking), co-head of the North America technology group, has a long history in capital markets. In March, TA took a majority interest in financial data management software company Confluence. Finding it hard to keep up with CoinDesk, Cointelegraph, Cryptonews, and the myriad other online sources of blockchain and cryptocurrency coverage? Jalak Jobanputra’s weekly newsletter might be a time-saver. To a page that she calls “commentary from the Wild West,” the founding partner of Future Perfect Ventures appends a compilation of pertinent media headlines. Jobanputra, 46, comes by her editorializing honestly: She has a BA in communications from the University of Pennsylvania’s Annenberg School (to go along with a BS in economics from the Wharton School and an MBA from Northwestern University’s Kellogg School of Management). 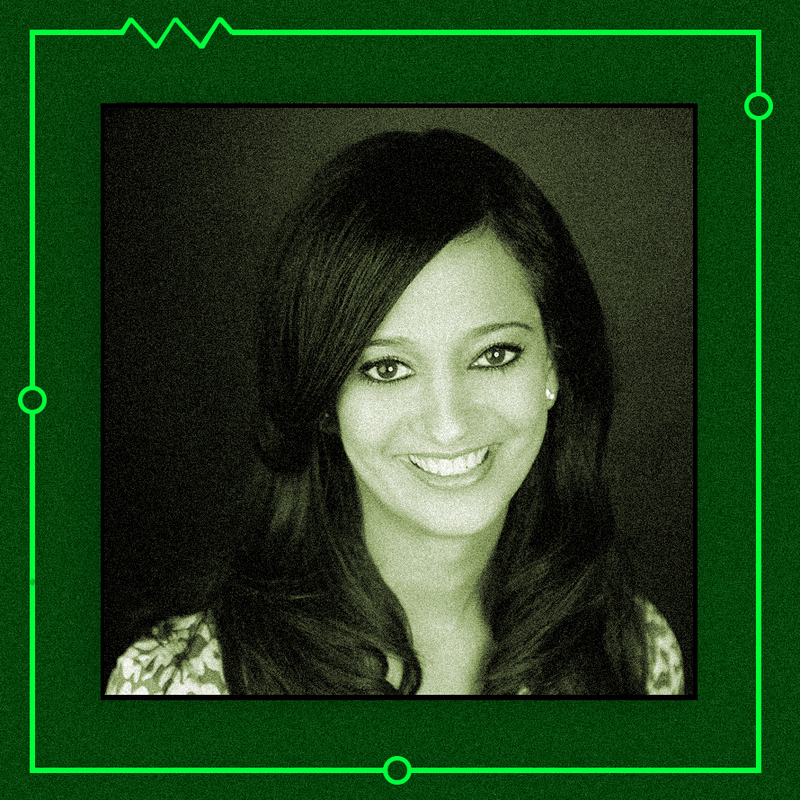 Between her experience as an investor in the blockchain sector since 2013, and the fact that Jobanputra earned the CNBC caption “This venture capitalist called Bitcoin’s correction in December ,” there are plenty of good reasons to keep up with her latest thinking. In fact, Jobanputra had been developing her venture capital chops for years before forming FPV in New York in 2014. 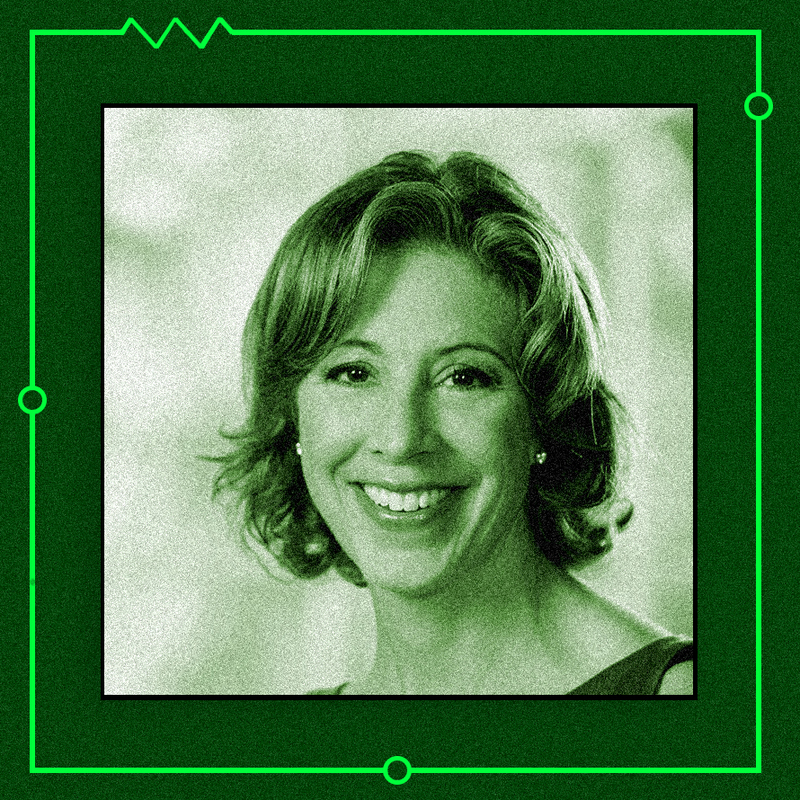 Starting in 1999, she spent four years with Intel Corp.’s venture investing arm. 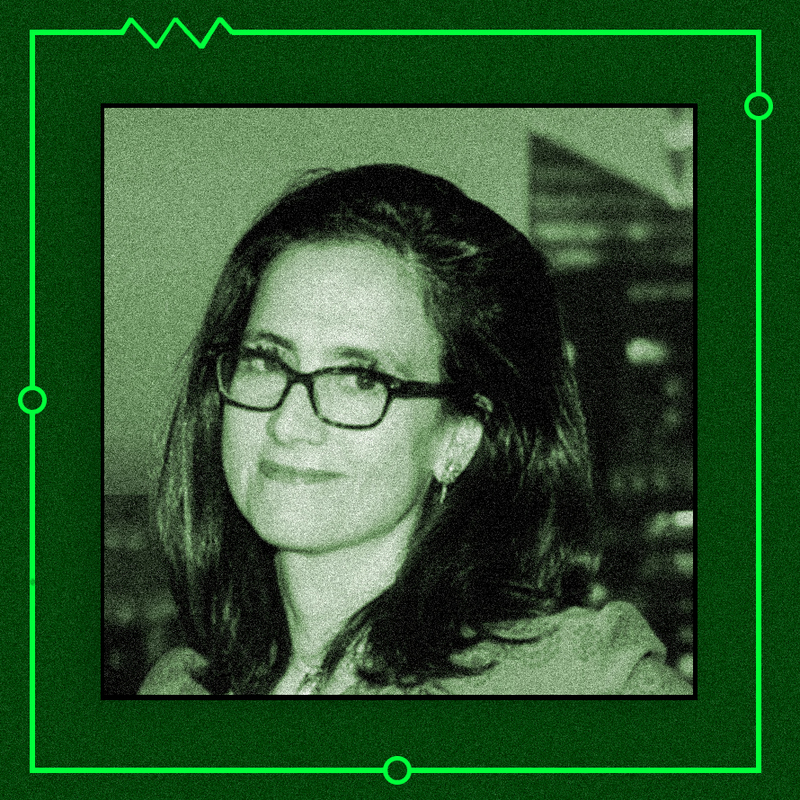 Later affiliations included New Venture Partners, Omidyar Network, and the Partnership Fund for New York City, where she helped launch the FinTech Innovation Lab in 2010. “We are looking more like a platform VC,” Mark Beeston says, referring to the type of venture capital firm that can orchestrate partnership relationships, talent recruiting, and other support for portfolio companies. He admits that it may be presumptuous for Illuminate Financial Management, a 13-person team with fewer than a dozen portfolio investments, to enter that league. 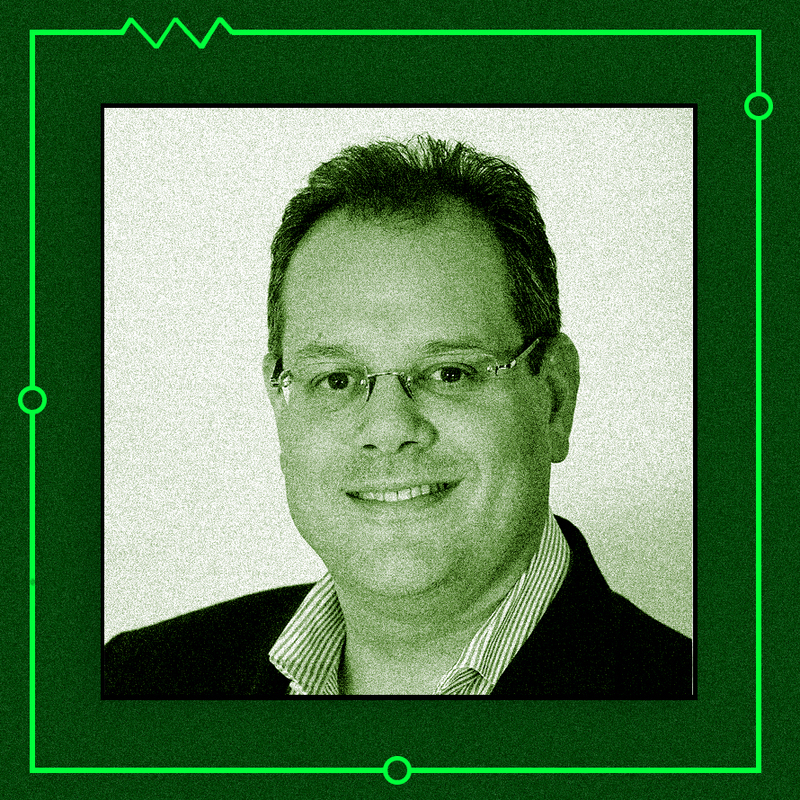 But Beeston, who co-founded Illuminate in London in 2014, believes that his firm has what it takes to be a player in the highly networked and competitive fintech game. By year-end Illuminate will be up to 12 investments, the 47-year-old says. Deal flow has slowed from the six closed in 2017, but, Beeston points out, Illuminate targets opportunities only in wholesale and capital markets, where investment activity doesn’t necessarily parallel that in consumer-facing facets of fintech. A former derivatives trading executive at Deutsche Bank and the ex-CEO of ICAP’s post-trade risk and information services business, Beeston gauges success in part by follow-on transactions within the portfolio. In April, for example, IHS Markit, one of Illuminate’s two strategic limited partners — the other is Deutsche Börse — joined Leucadia National Corp. (now Jefferies Financial Group) in a $10 million financing of collateral management systems company CloudMargin, of which Beeston is a director. Meanwhile, TransFICC, a market connectivity innovator that received €1 million ($1.14 million) last year from Illuminate and Commerzbank’s Main Incubator, landed a strategic investment in August from Citi, amount undisclosed. 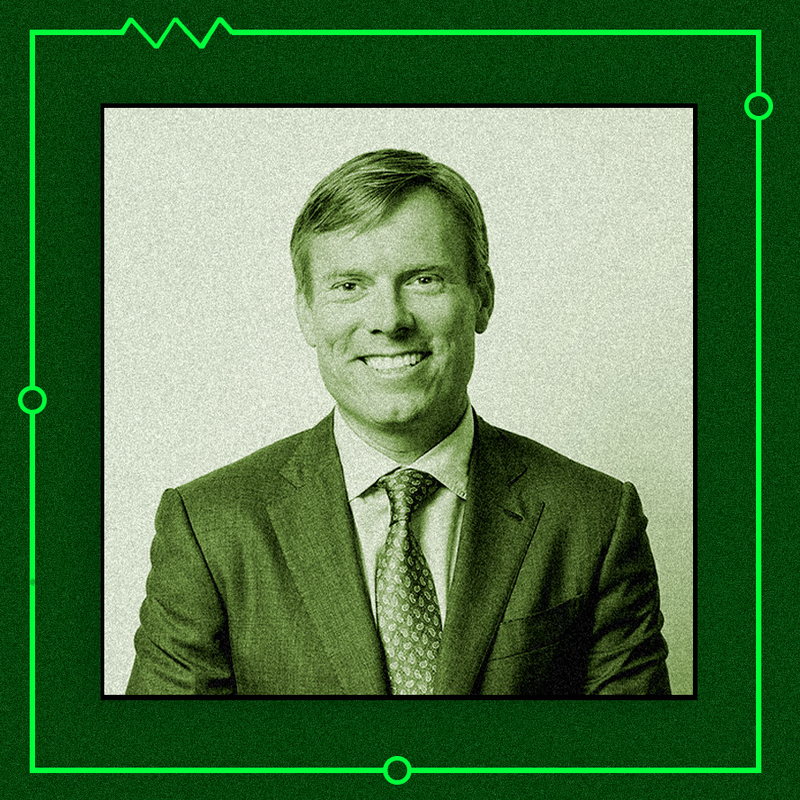 On the personnel front, Beeston and co-founder Mark Whitcroft, also a Deutsche Bank alumnus, in April brought on a third partner, who is based in New York: Mark Rodrigues, formerly of Thomson Reuters, Aquiline Capital Partners, and Oliver Wyman. That followed the 2017 hiring of Roger Spooner, the former global head of client management at IHS Markit, as head of strategic relationships. Before co-founding Centana Growth Partners in 2015, Eric Byunn and Ben Cukier worked at FTV Capital for more than a decade. They shared an office at the San Francisco–based growth equity firm, and they are doing so again — at least virtually. Although Byunn is based in Palo Alto, California, and Cukier in New York, a video link between the offices is always on. “It’s as if we are never further than down the hall,” Cukier says. 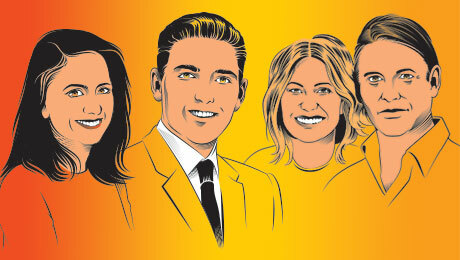 The real point is to collaborate, and Cukier notes that technology is essential for communications among Centana’s bicoastal team of 12 — which includes a third co-founder, Steven Swain — and the firm’s network of portfolio companies and advisers. “We use a lot of technology, but there is still a lot of value in handshakes and meetings for getting deals done,” says Cukier, 46. Formed in 2014 with support from City of London Corp., Innovate Finance has a straightforward mission: to sustain London’s leadership in financial technology innovation. By general consensus, London ranks as an elite fintech hub, on a level with New York and Singapore, but the centers are as interconnected as they are competitive. Representing more than 250 banks, entrepreneurs, and others, Innovate Finance embodies the transnational principle in its annual Global Summit, which in March 2018 attracted more than 2,000 people. The 2019 summit is scheduled for April 29–30. That’s a month after the Brexit date, which Crosswell views as good timing for assessing and reasserting London’s fintech influence. 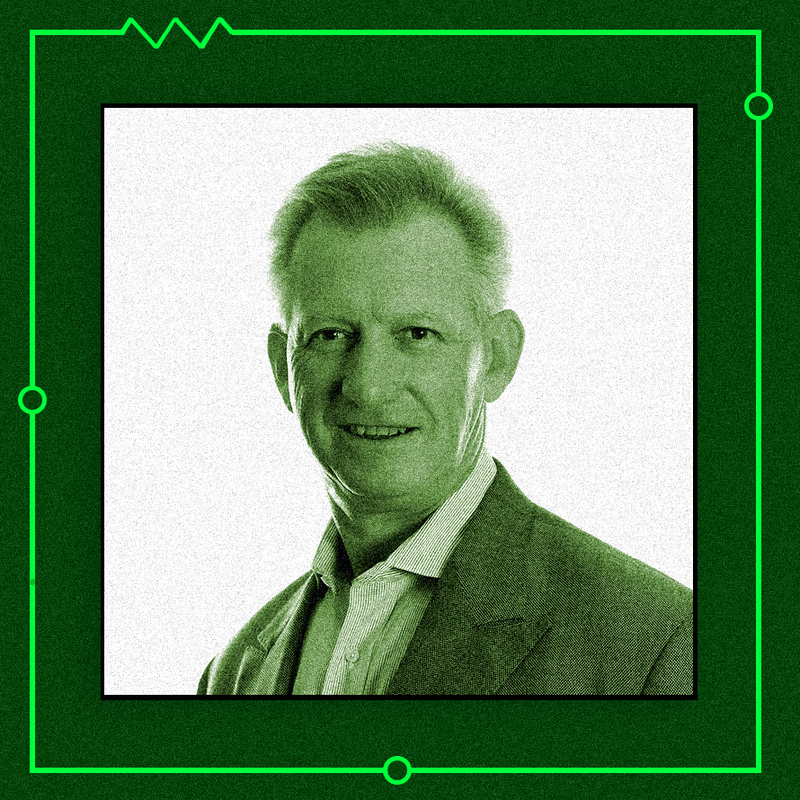 Long active as a financial markets executive with the likes of London Stock Exchange Group and Nasdaq, Crosswell was CEO of the latter’s NLX interest rate derivatives market, which closed in April 2017. Four months later she succeeded Lawrence Wintermeyer at Innovate Finance, where, leading a team of 20, her advocacy isn’t about just technology. 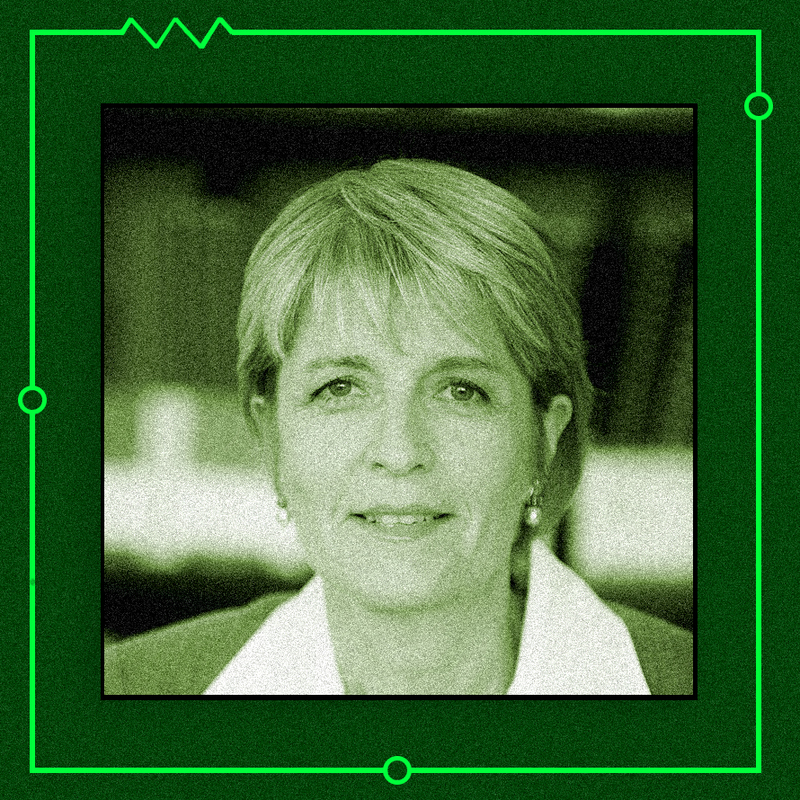 Crosswell also supports immigration policies that enable businesses to attract “the brightest and the best to the U.K.,” which she believes is vital to maintaining the country’s competitive advantage in fintech. Michael Novogratz will say only so much about the cryptocurrency wealth he has amassed as a personal or family-office investor. But when speaking at conferences or in business television interviews, the onetime Goldman Sachs Group trader and ex-CIO of Fortress Macro Fund acknowledges that he is in pretty deep. Galaxy Digital Holdings, the Novogratz entity that trades on Toronto’s TSX Venture Exchange, reported $356 million in total assets as of June 30, $112 million of that cryptocurrency. “Our mission is to institutionalize the space and promote the growth and advancement of the underlying ecosystem and technology behind digital assets and blockchain,” reads a statement attributed to Novogratz on the website of New York–based merchant bank Galaxy Digital Capital Management. Under that banner early this year, the founder and CEO pulled together four business lines: asset management, principal investing, trading, and advisory services. Labs, sandboxes, incubators, and accelerators are all variations on the theme of bringing new technological ideas to life. With large, innovation-hungry financial companies waiting in the wings, fintech has been fertile ground for such programs, and Nektarios Liolios has launched several, in Amsterdam, London, Mexico City, Mumbai, New York, and Singapore. Dubai is next, says Liolios, who co-founded Startupbootcamp FinTech. There are also Startupbootcamp InsurTech programs in London (billed as “the first truly global insurance accelerator”) and in Hartford, Connecticut. The former has attracted name-brand sponsors including Allianz, Munich Re, Swiss Re, and Zurich Insurance Group. For the June 2018 demo day, the London accelerator’s organizers selected ten winning start-ups out of more than 1,000 applicants. Insurance technology has blossomed into “the most dynamic part of fintech,” asserts Liolios, who is 51. He points out that although accelerators can give entrepreneurs an energy boost in a matter of weeks, commercial validation takes much longer. 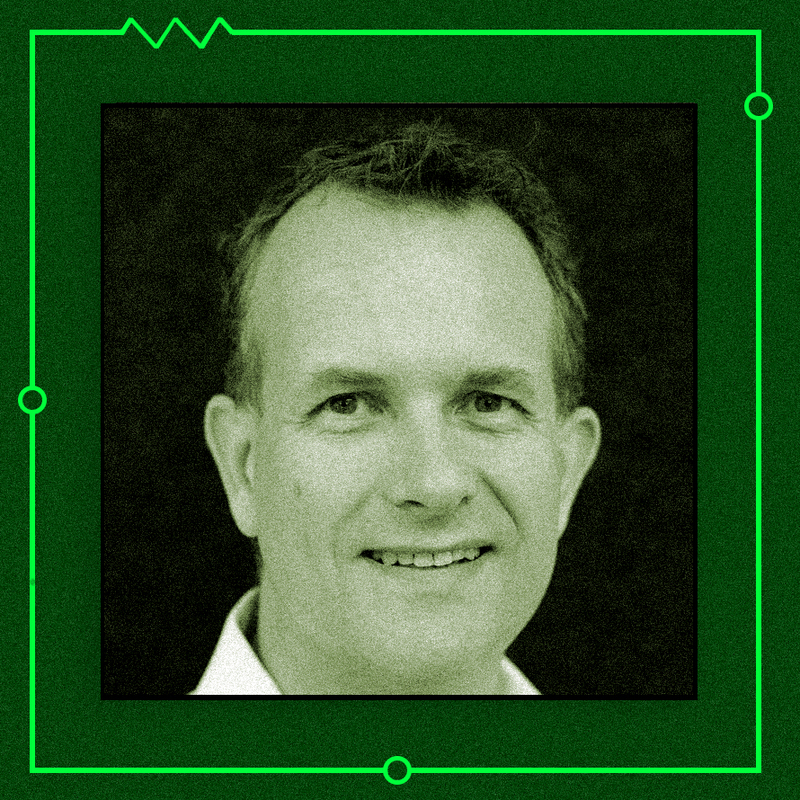 For Internet of Things technology company relayr, it took almost five years from its first Startupbootcamp exposure, in Amsterdam, to the September 2018 announcement that it was being acquired by Munich Re for $300 million.